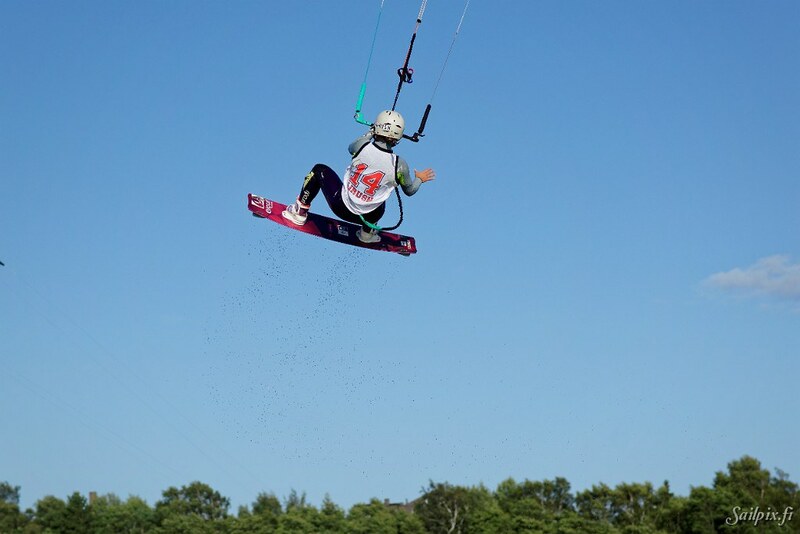 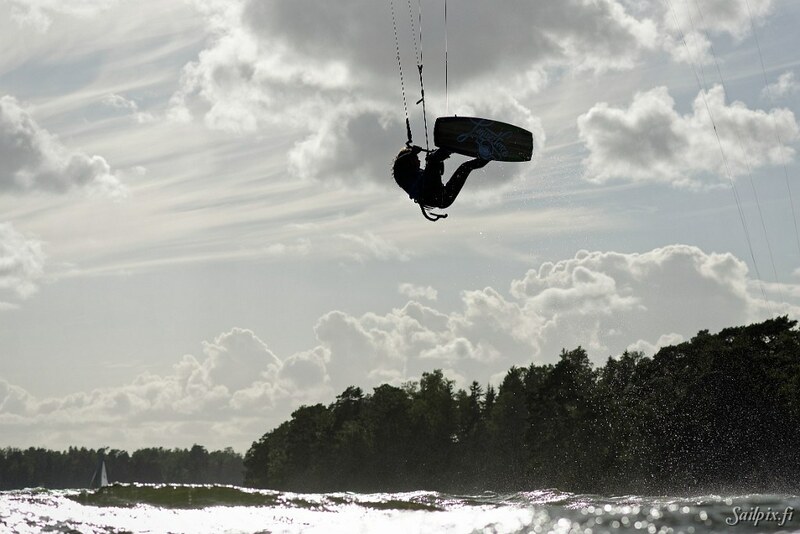 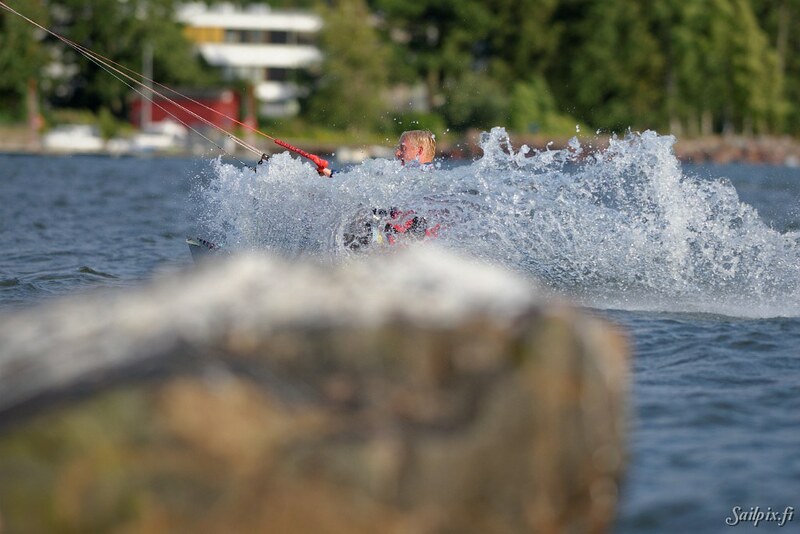 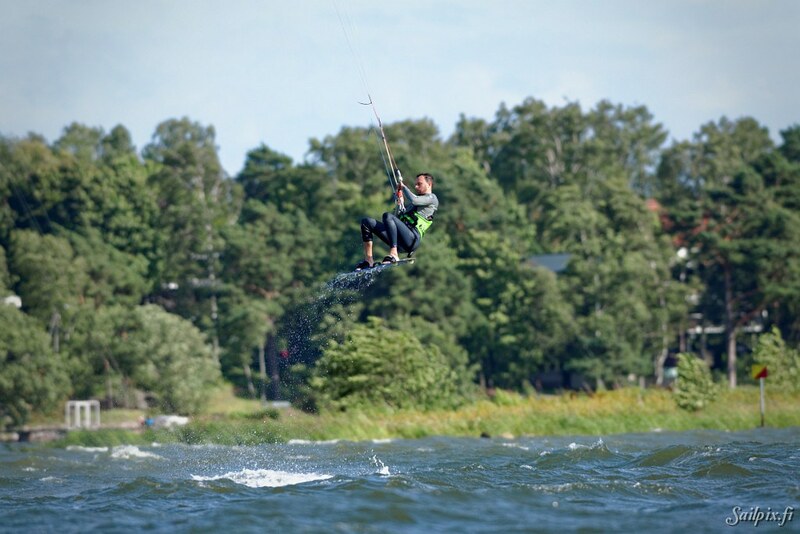 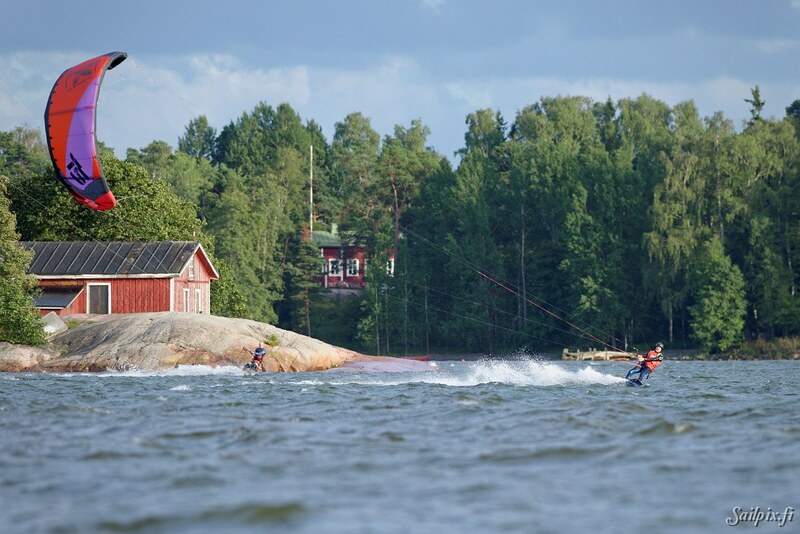 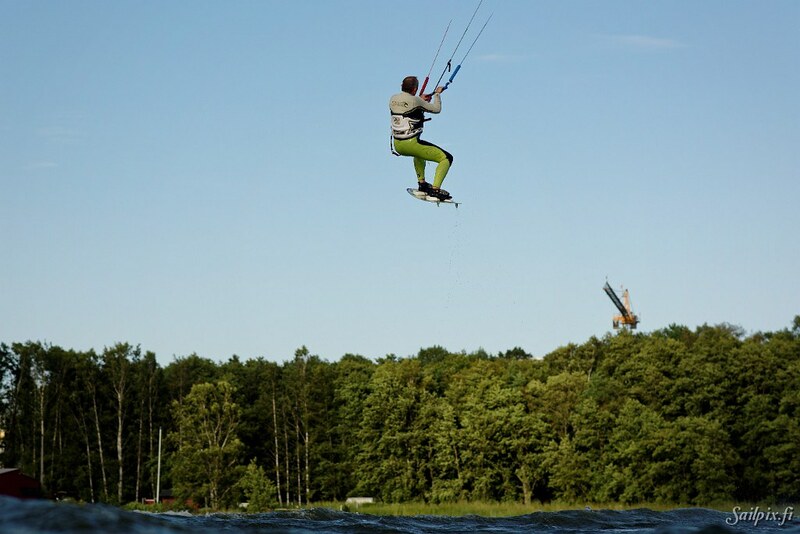 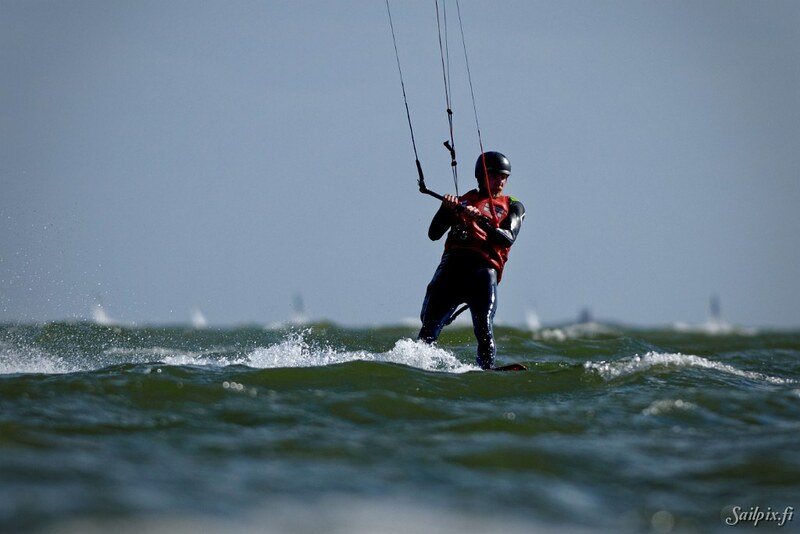 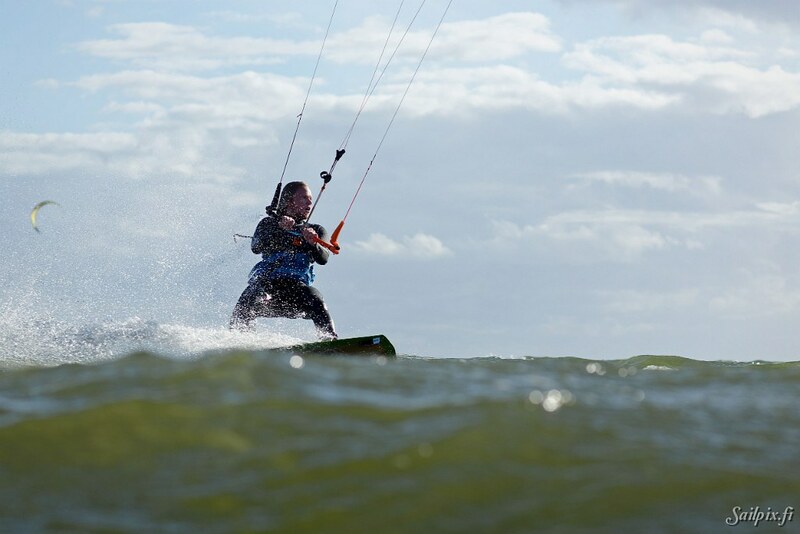 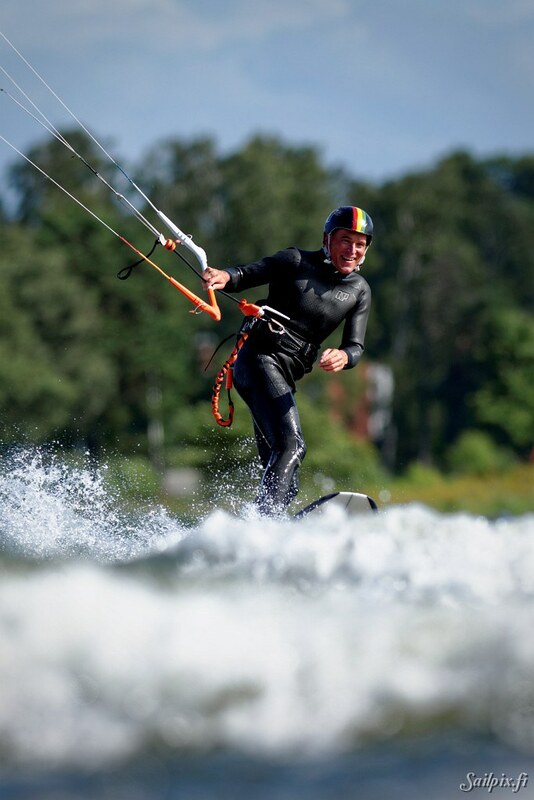 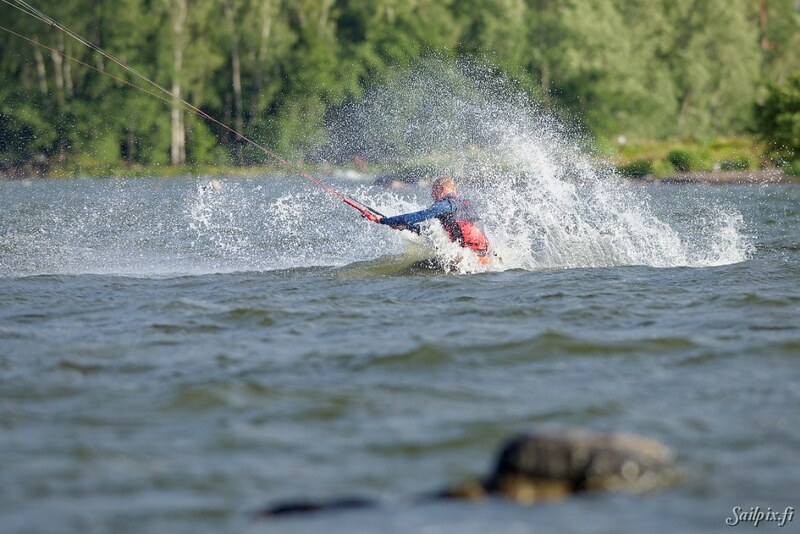 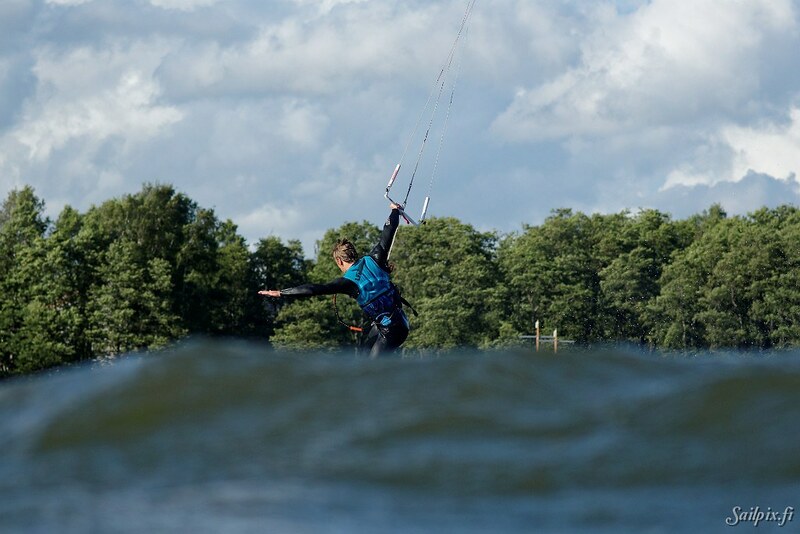 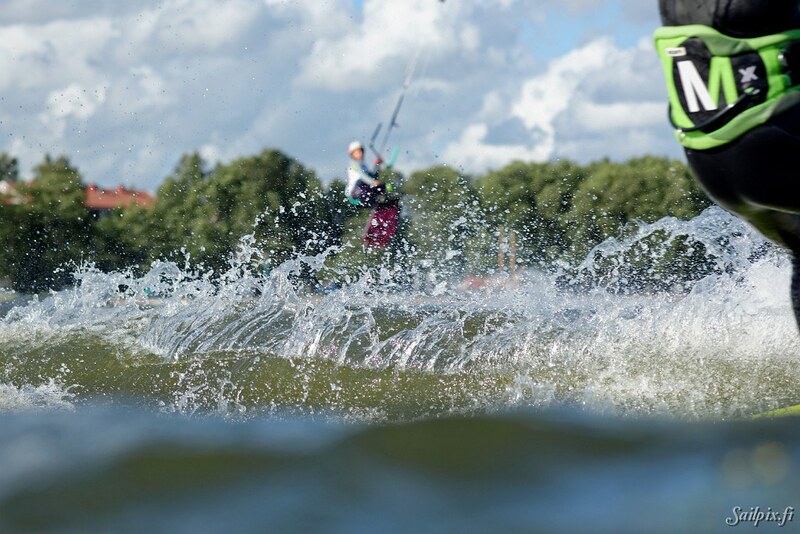 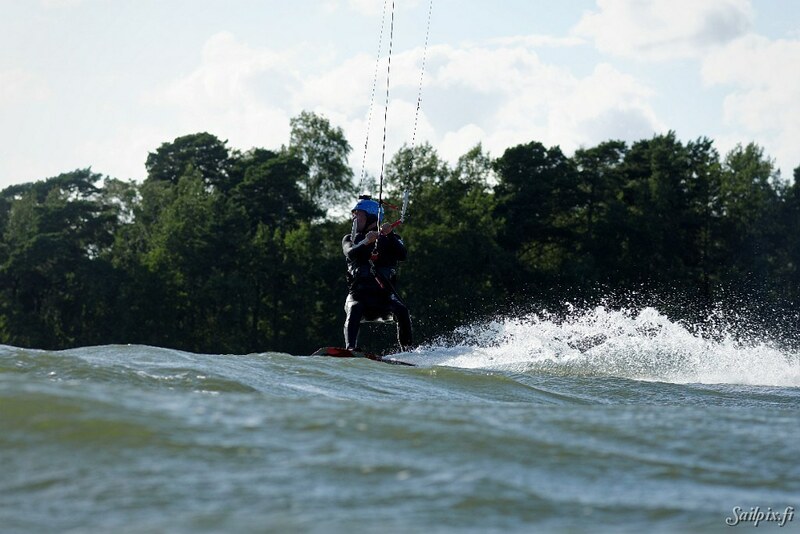 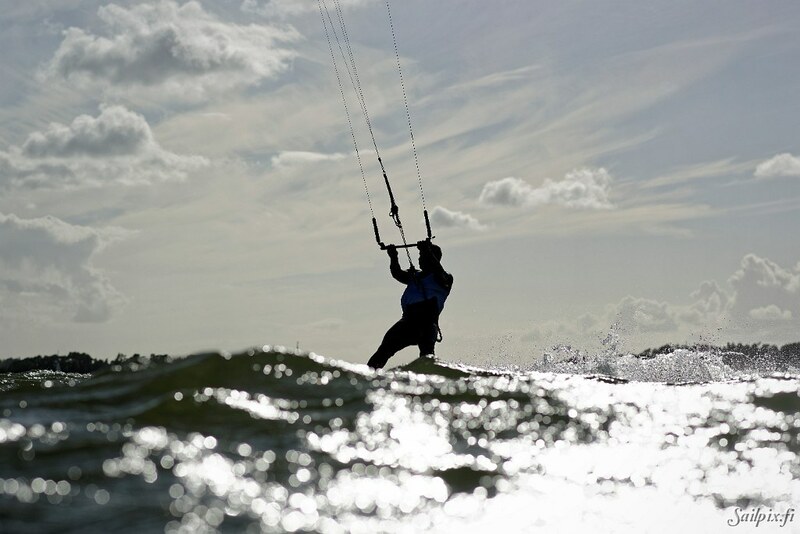 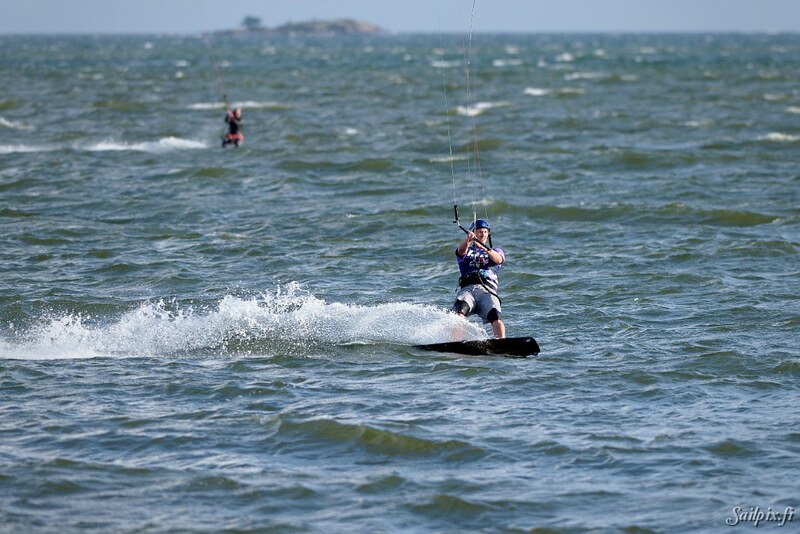 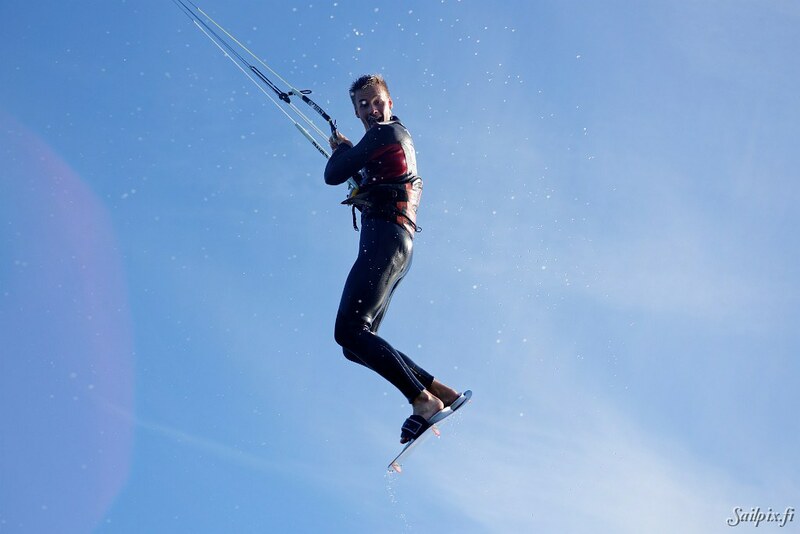 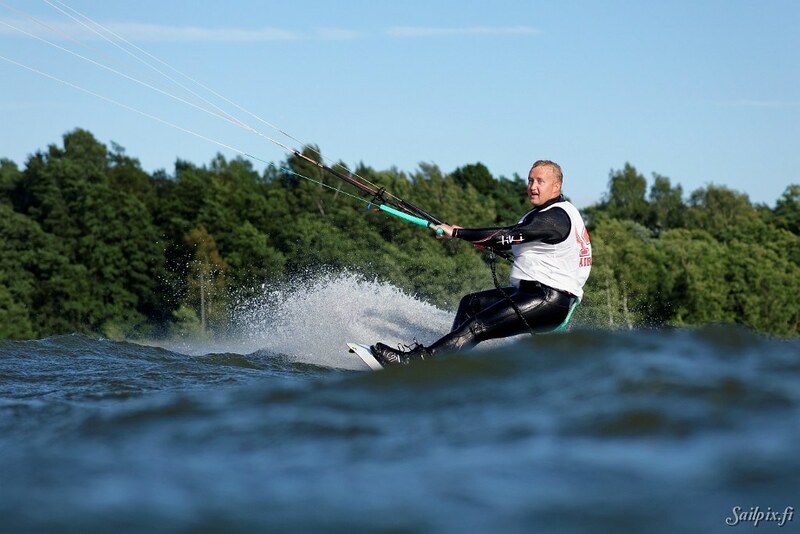 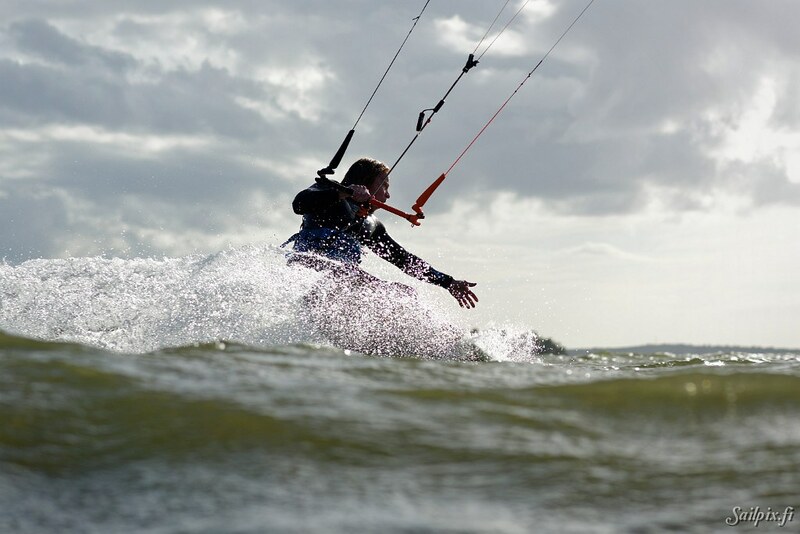 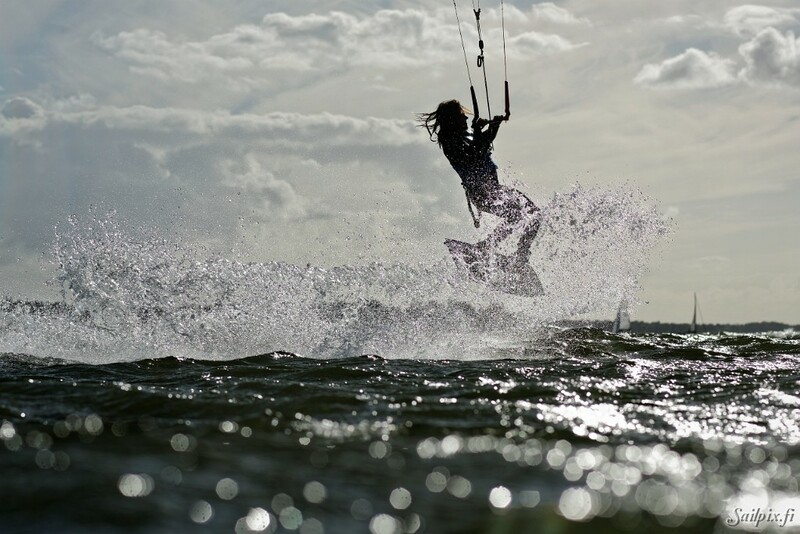 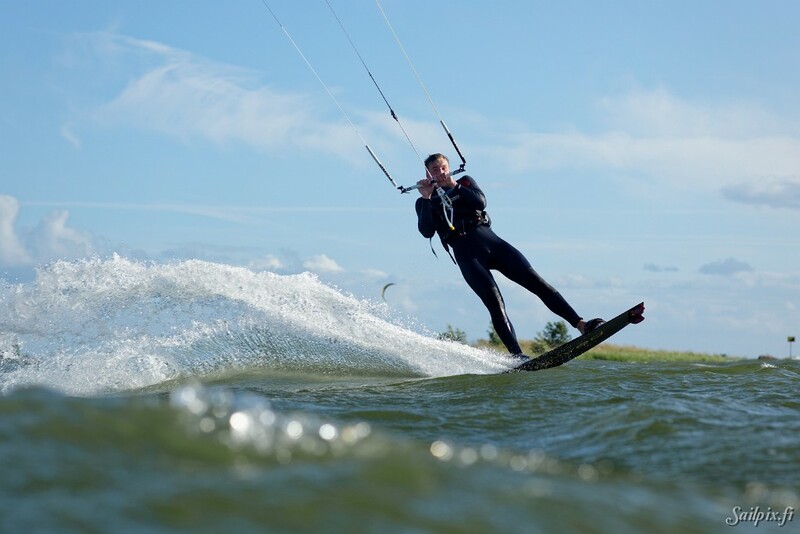 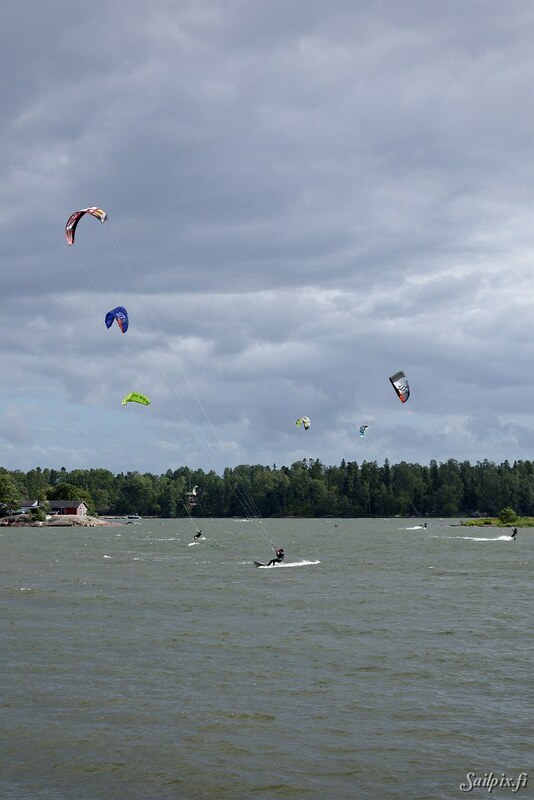 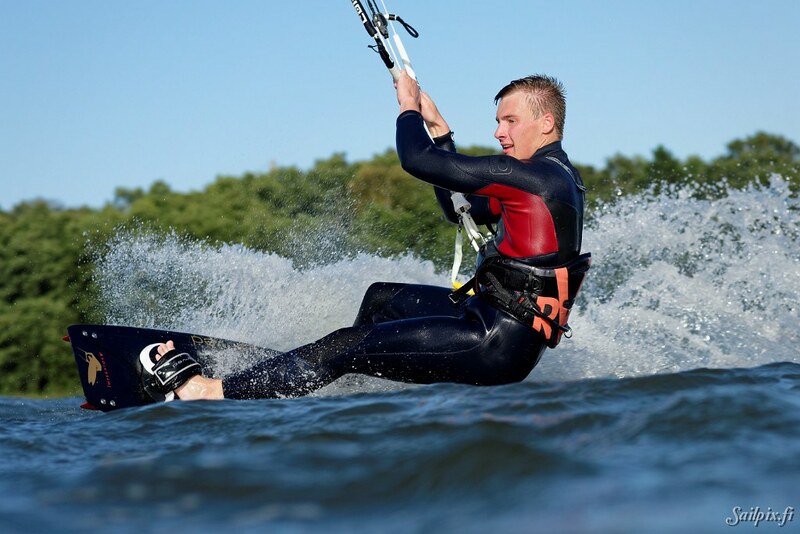 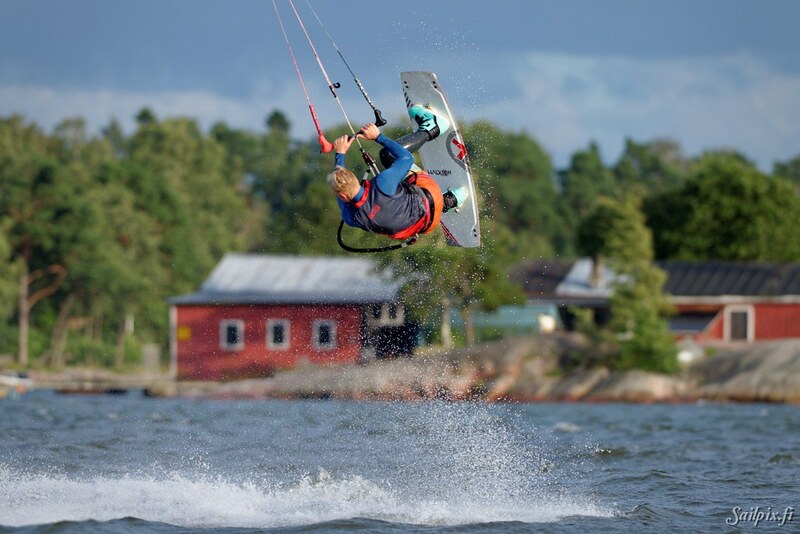 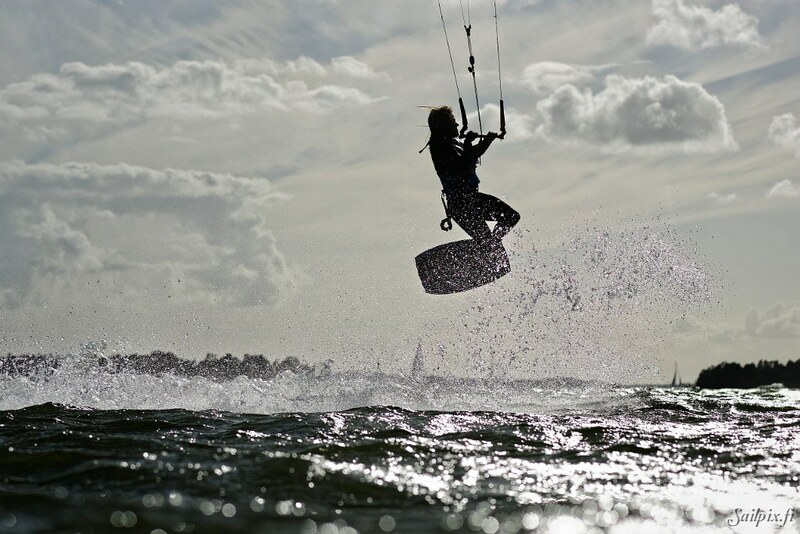 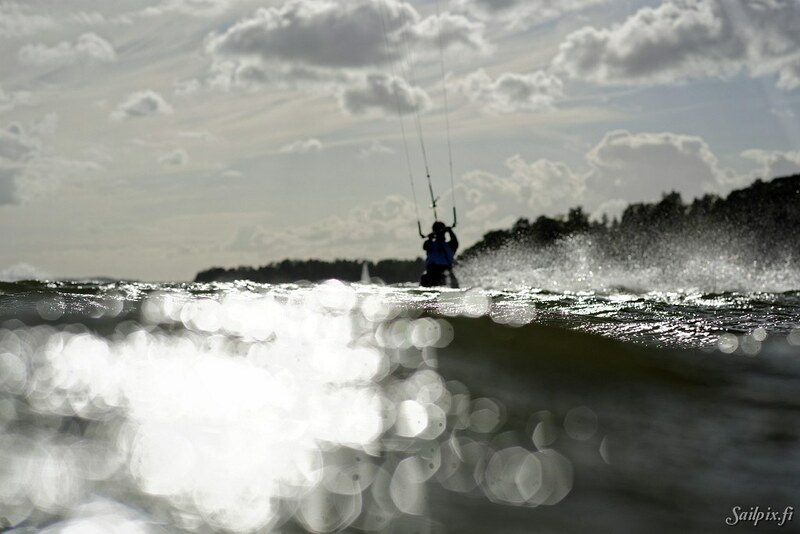 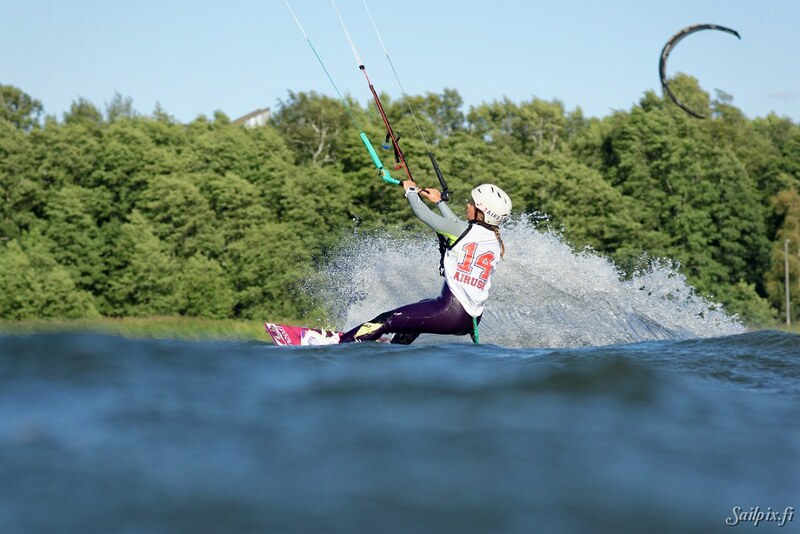 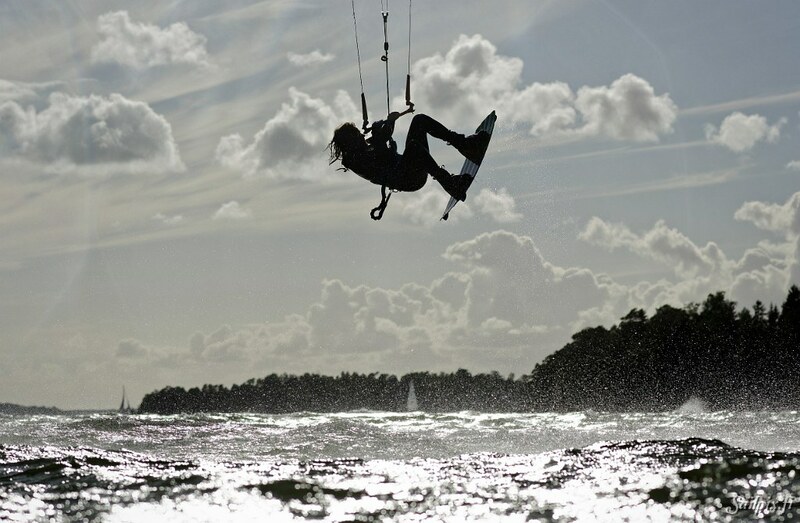 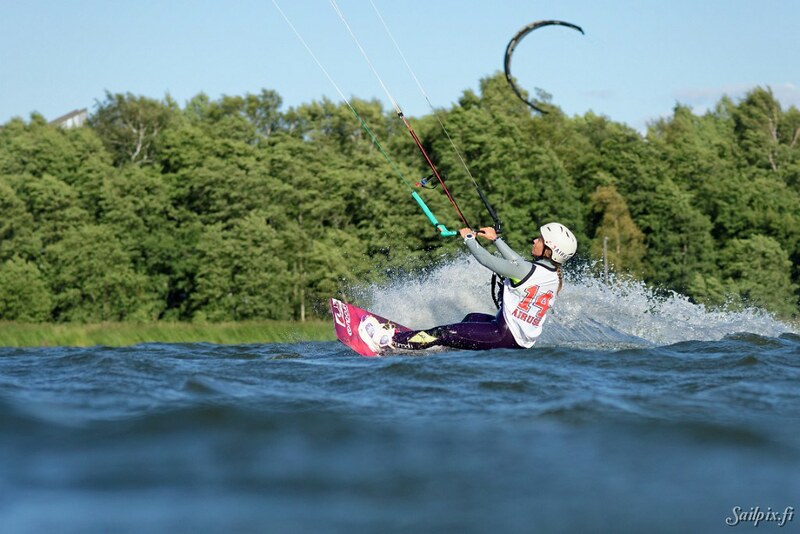 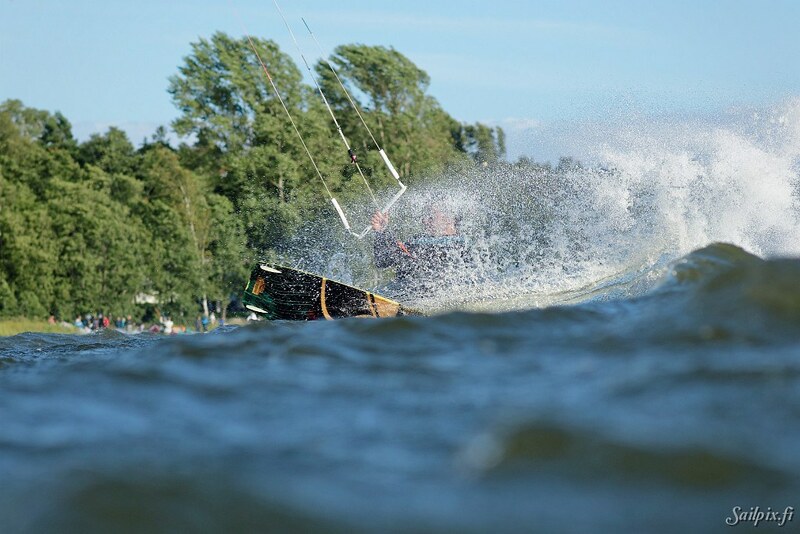 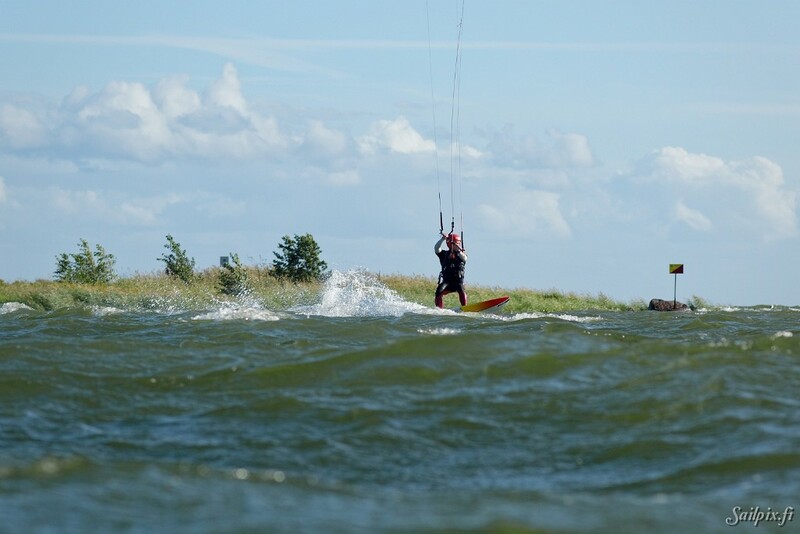 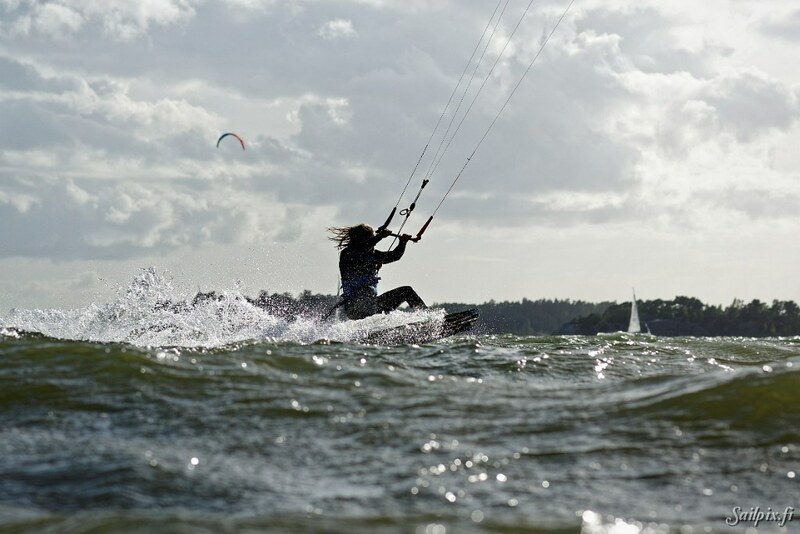 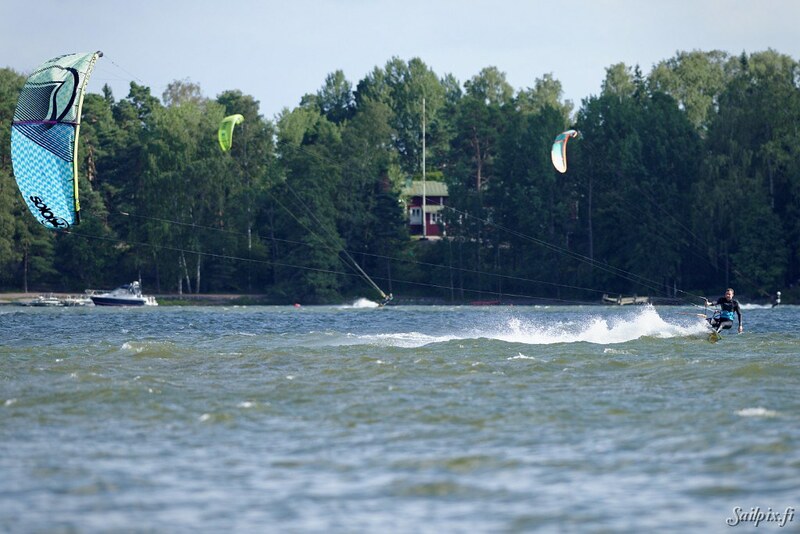 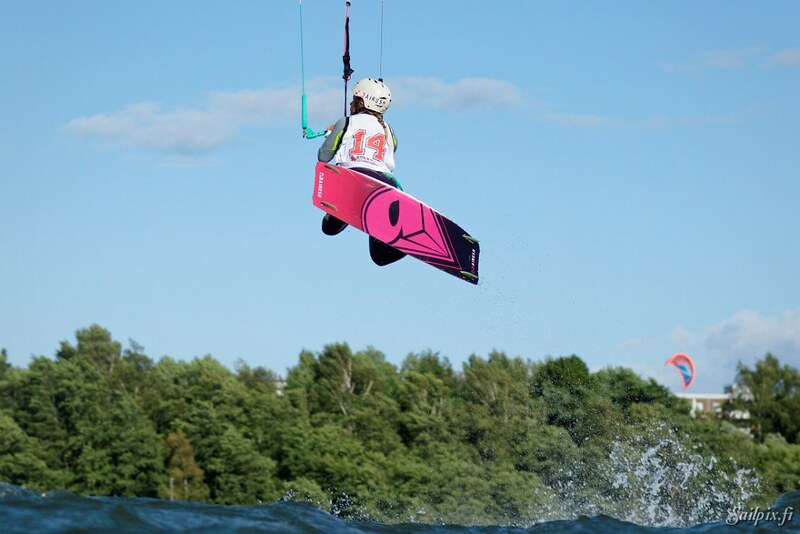 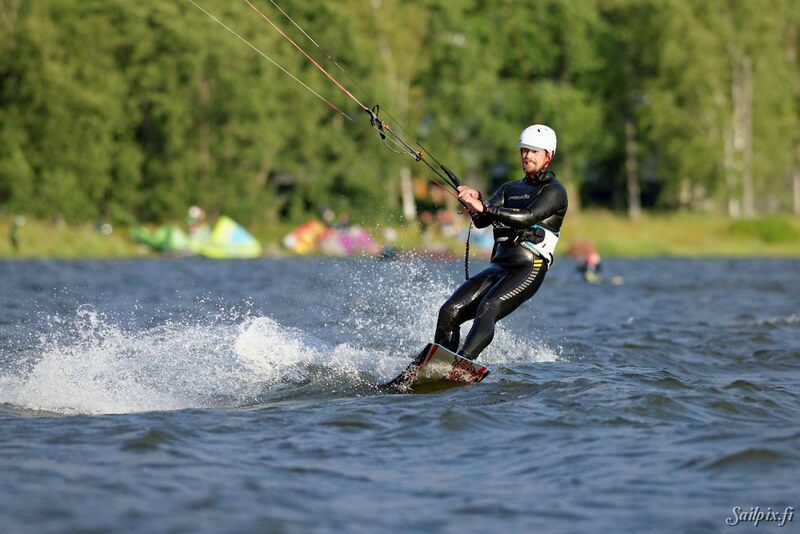 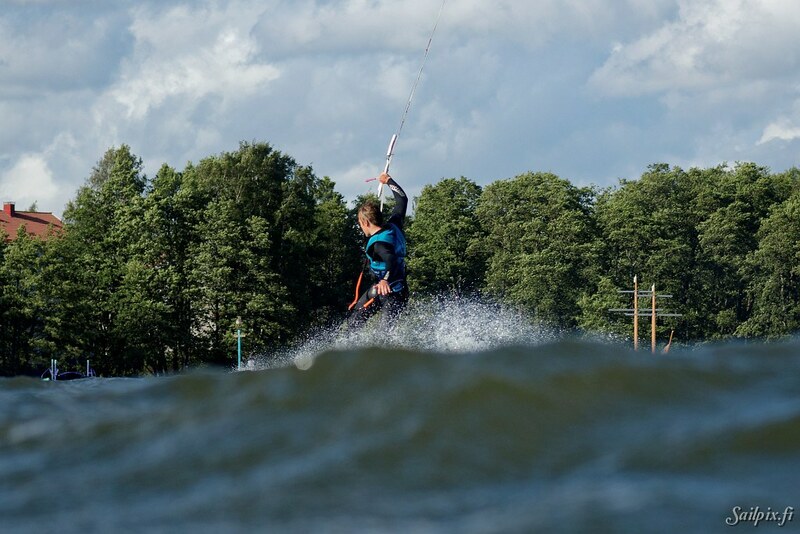 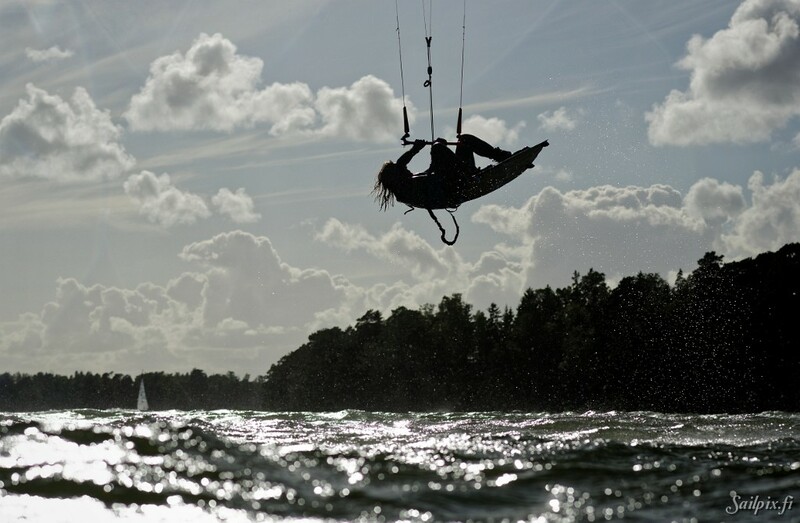 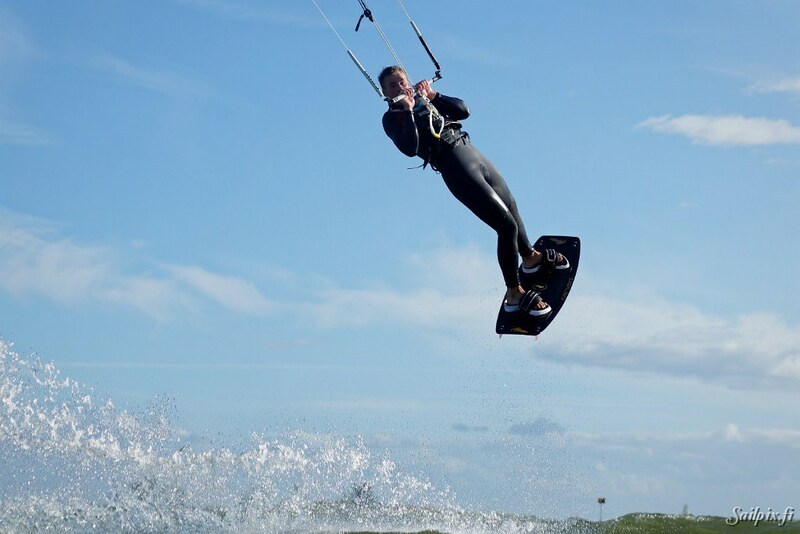 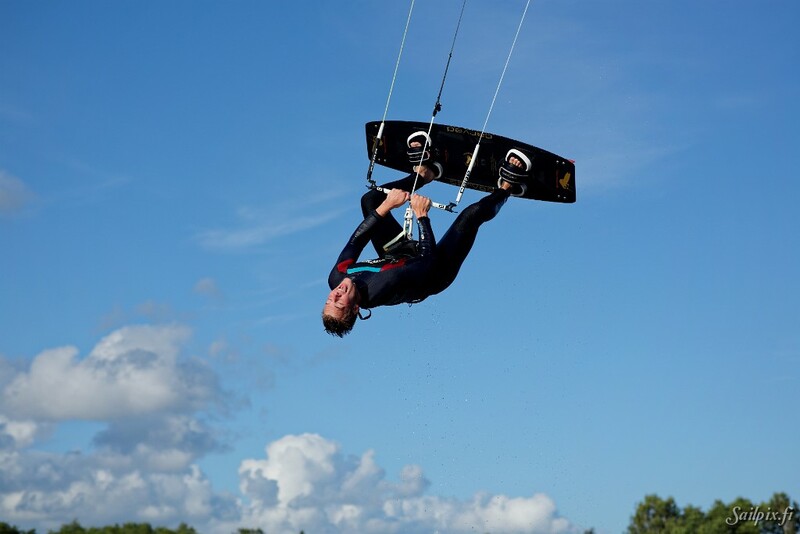 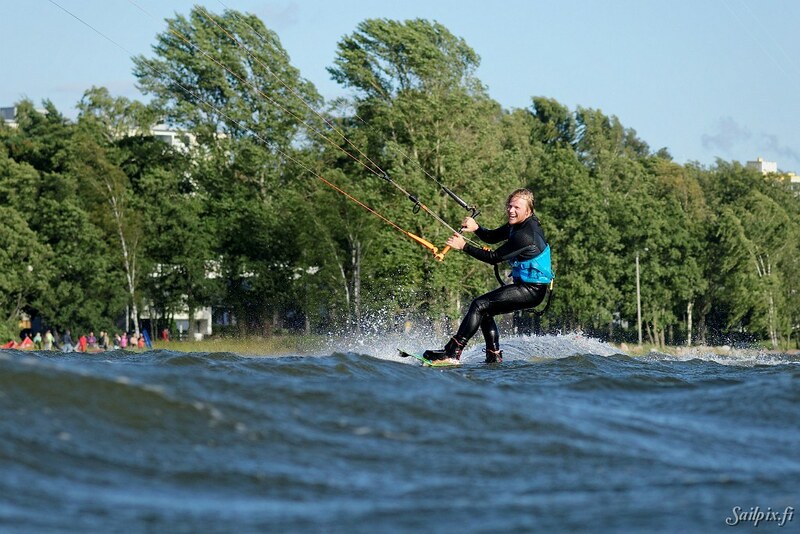 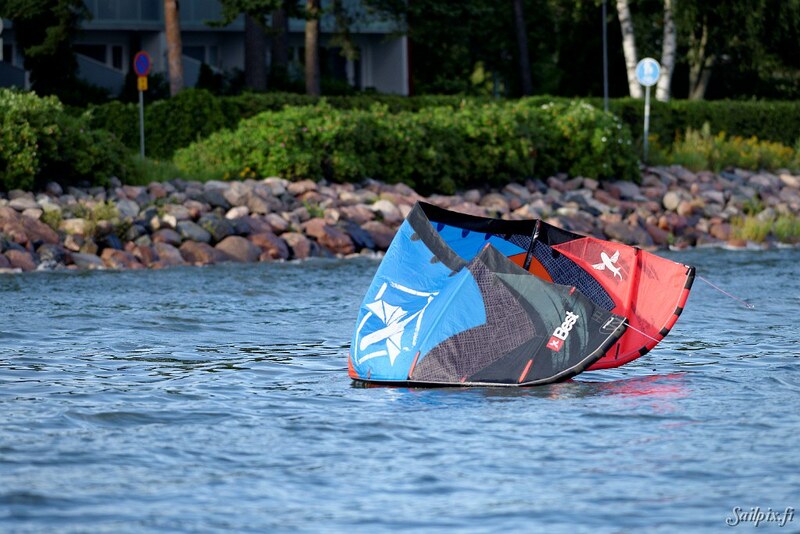 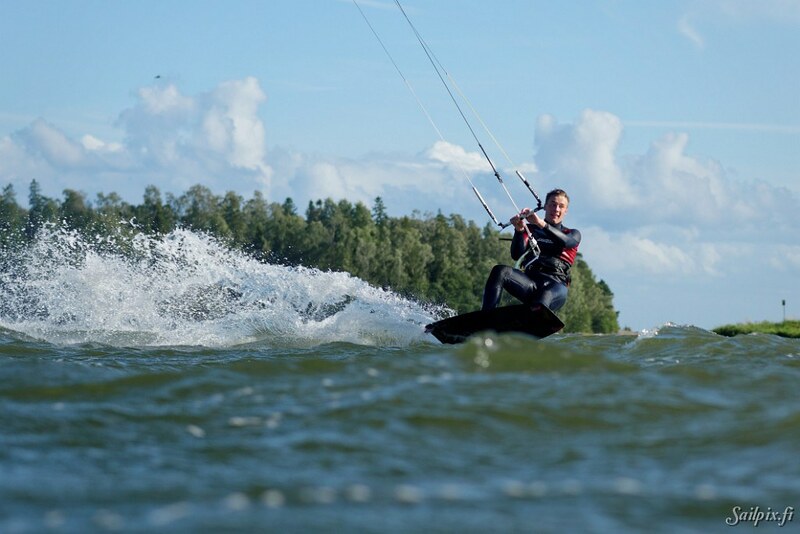 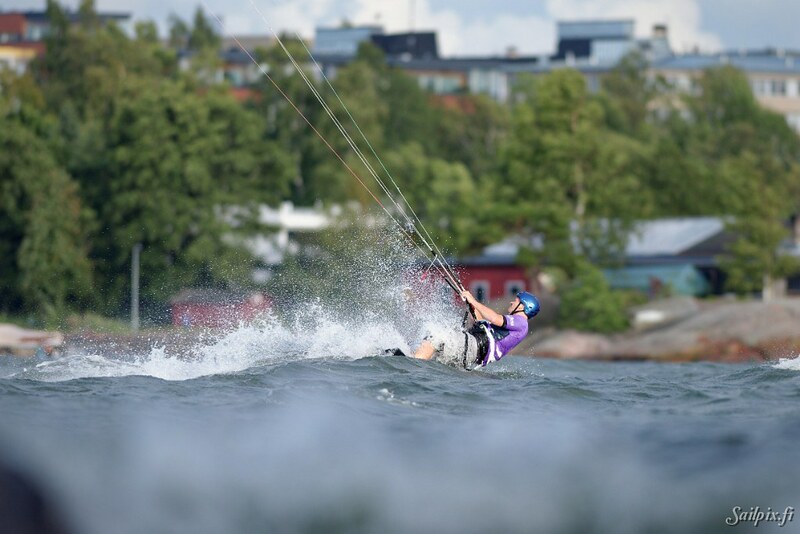 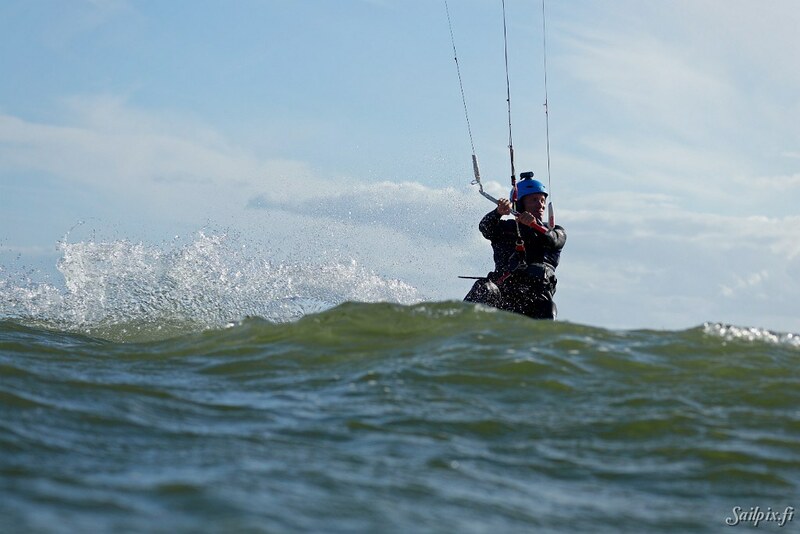 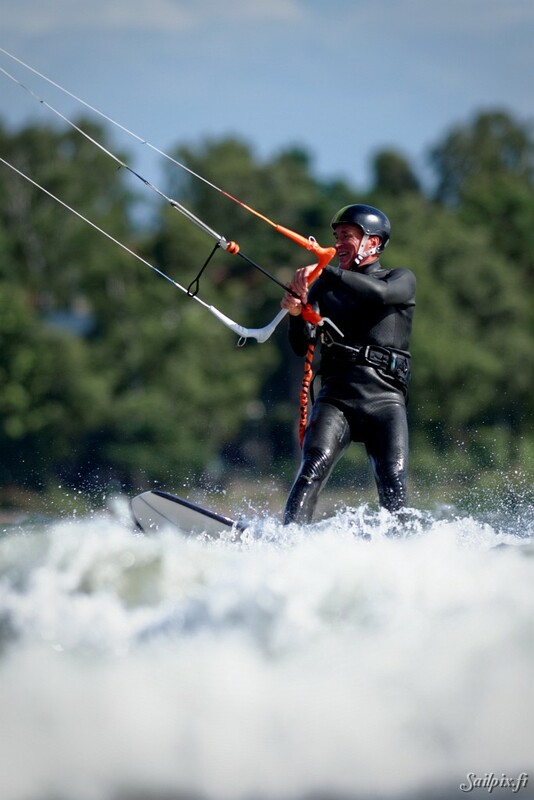 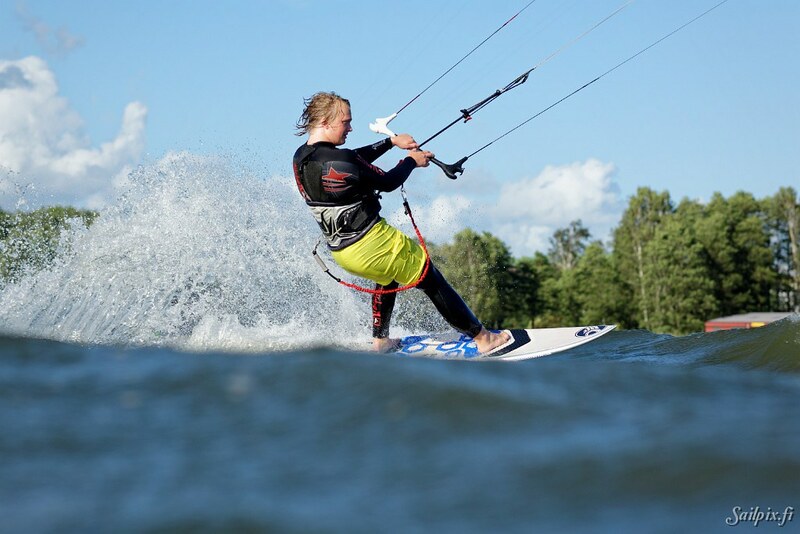 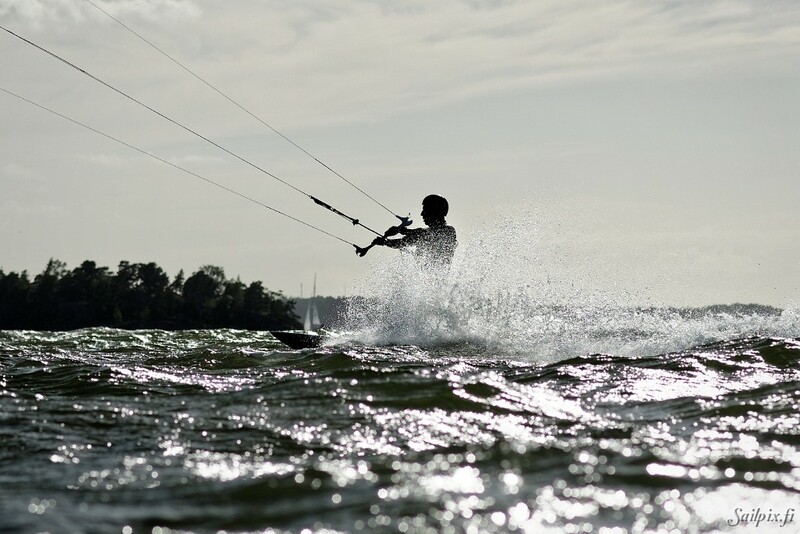 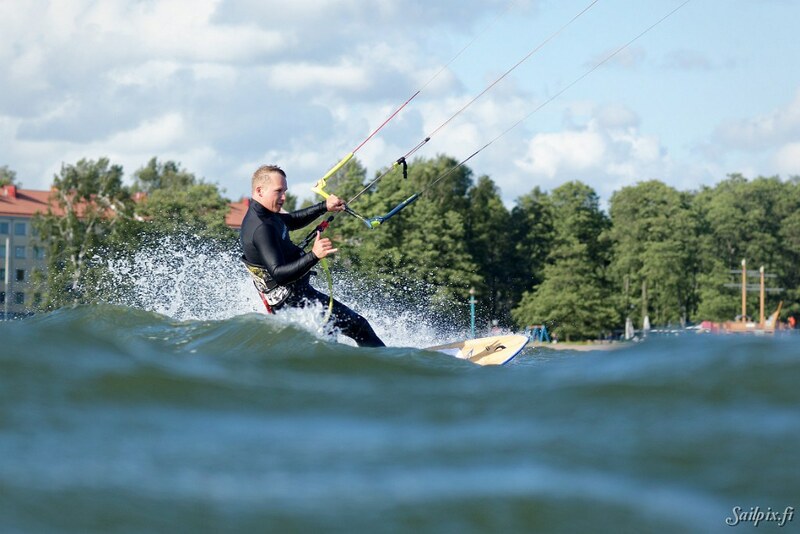 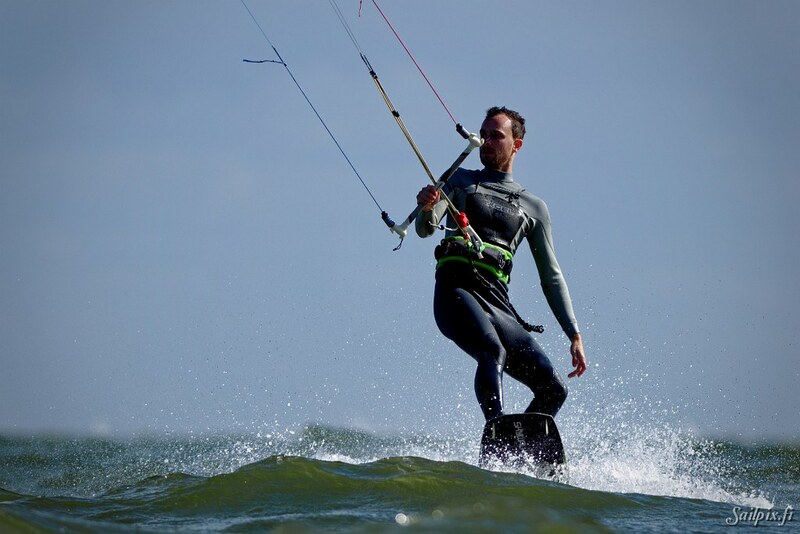 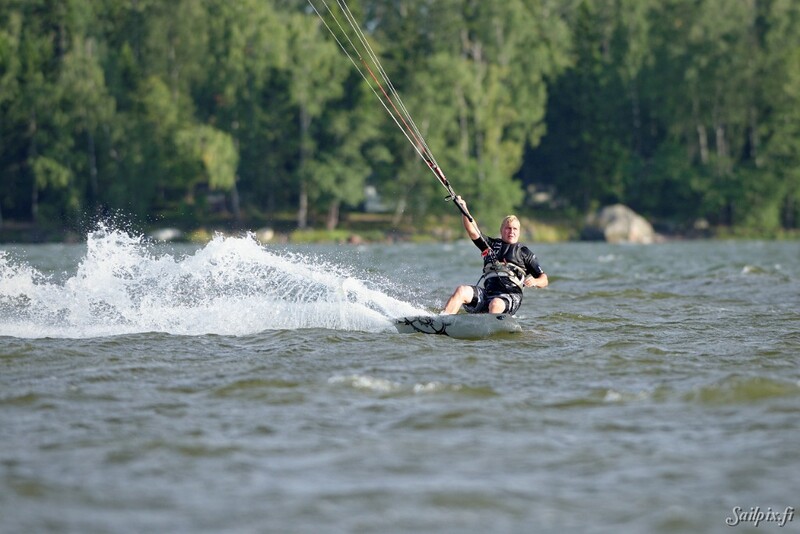 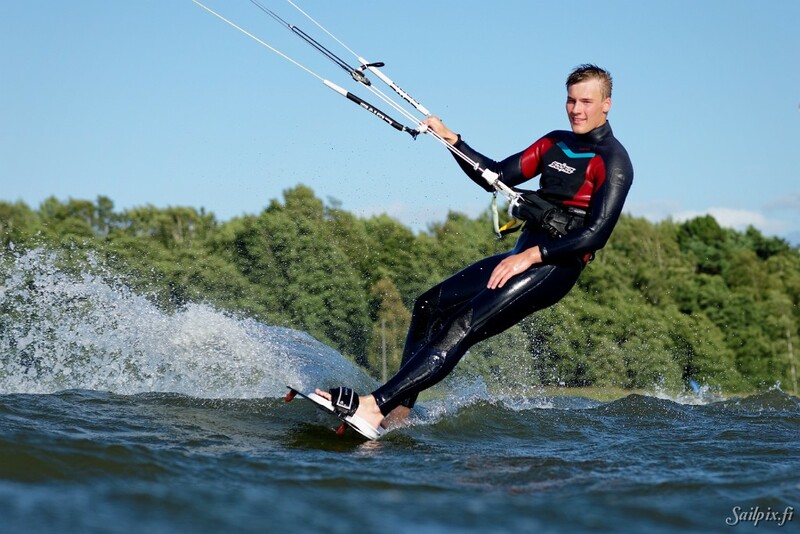 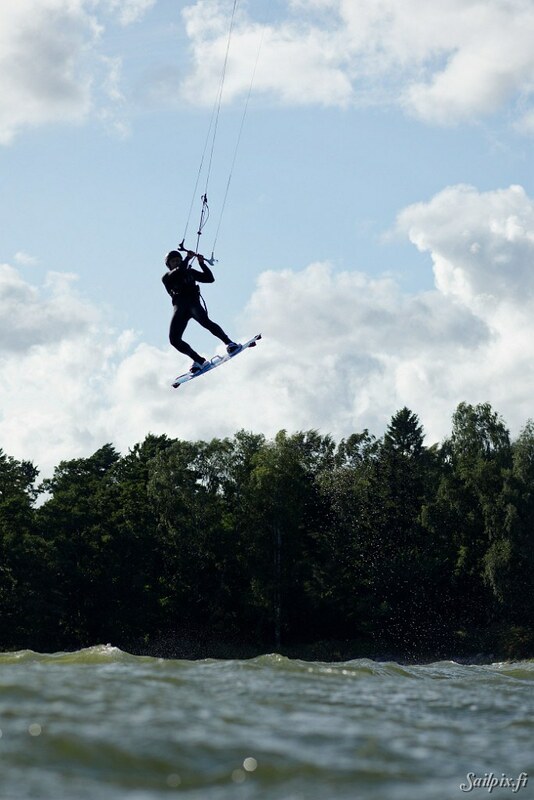 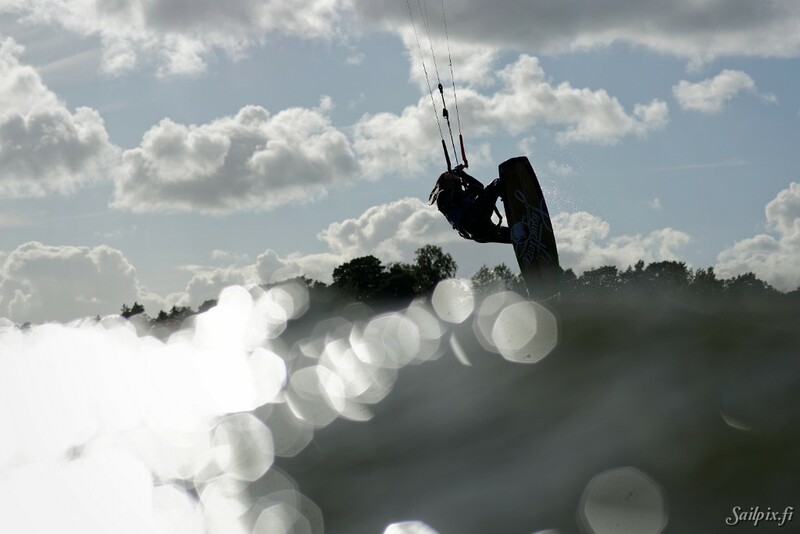 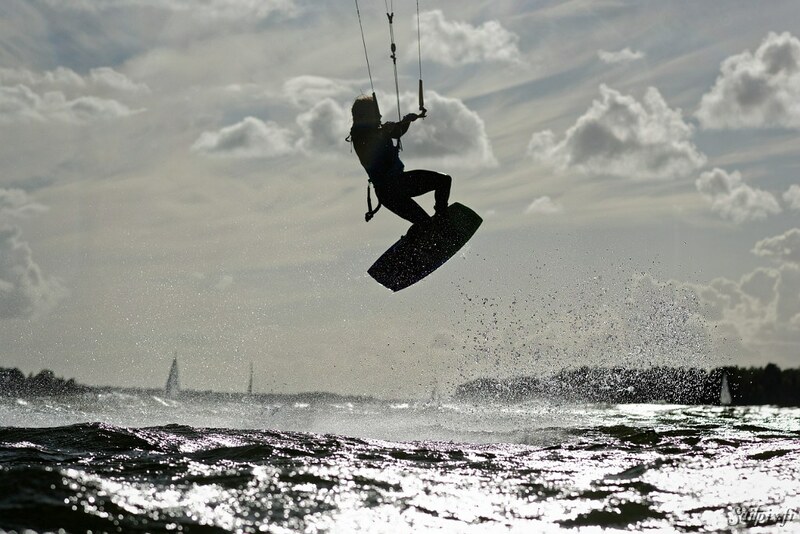 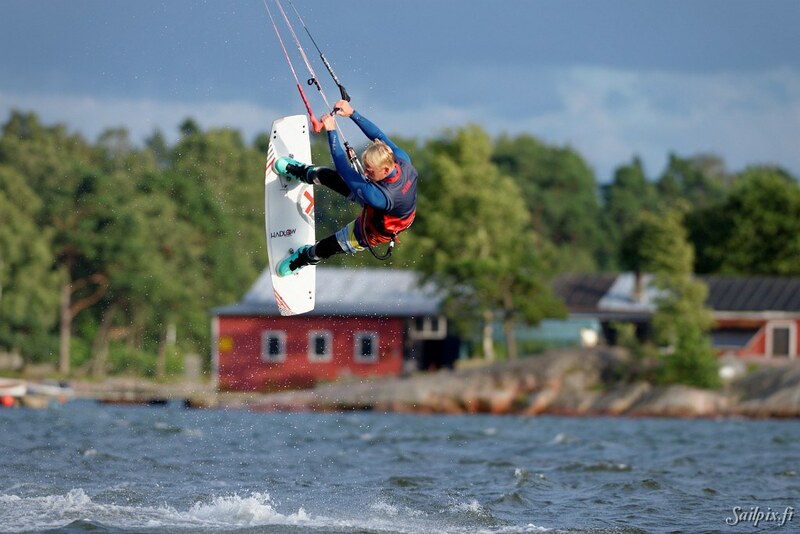 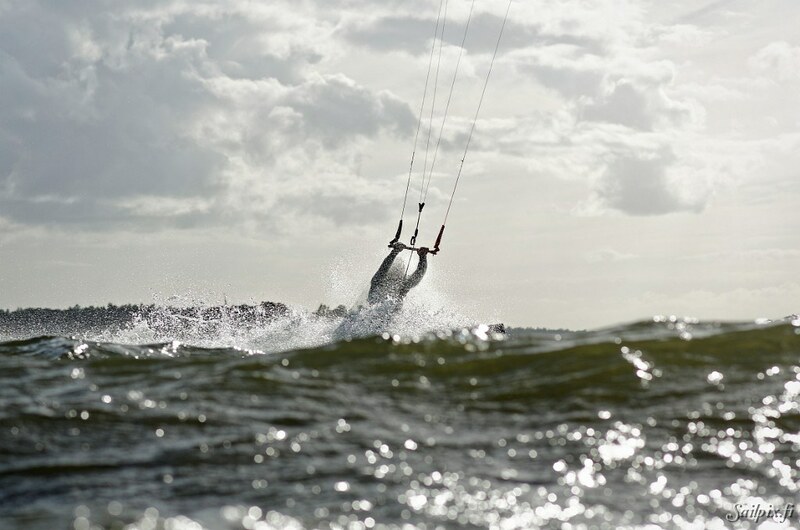 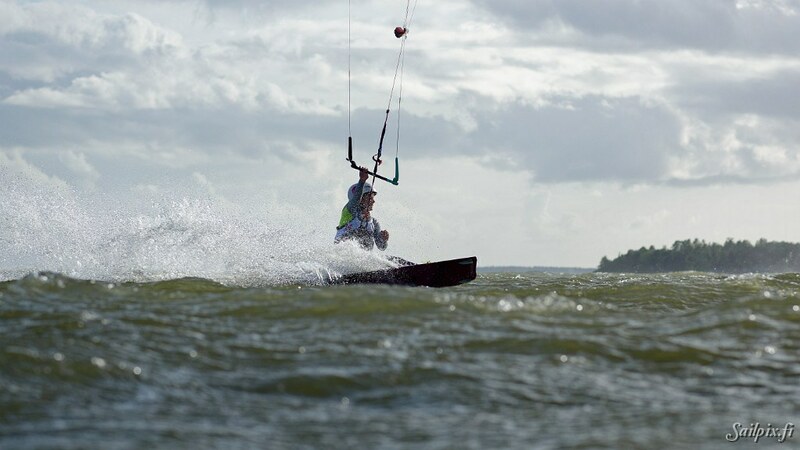 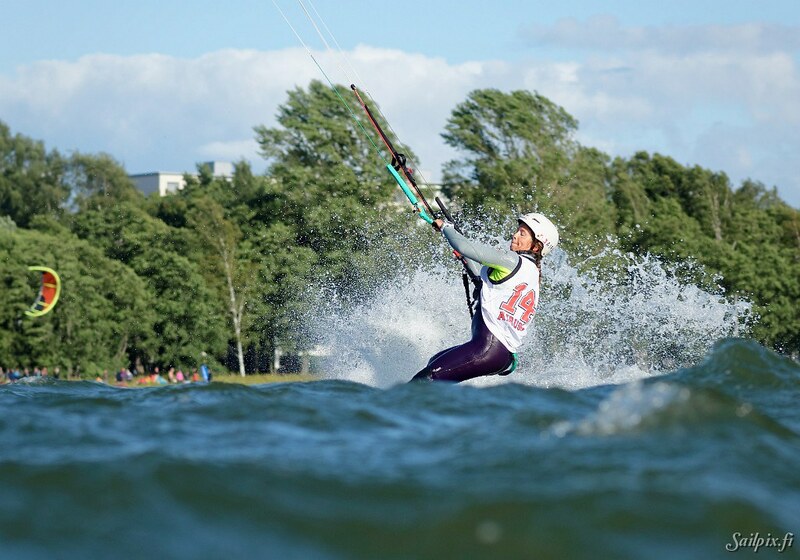 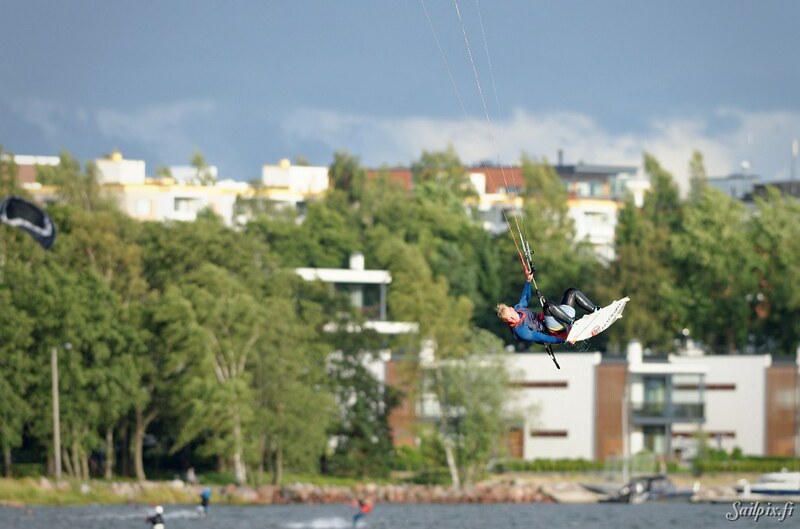 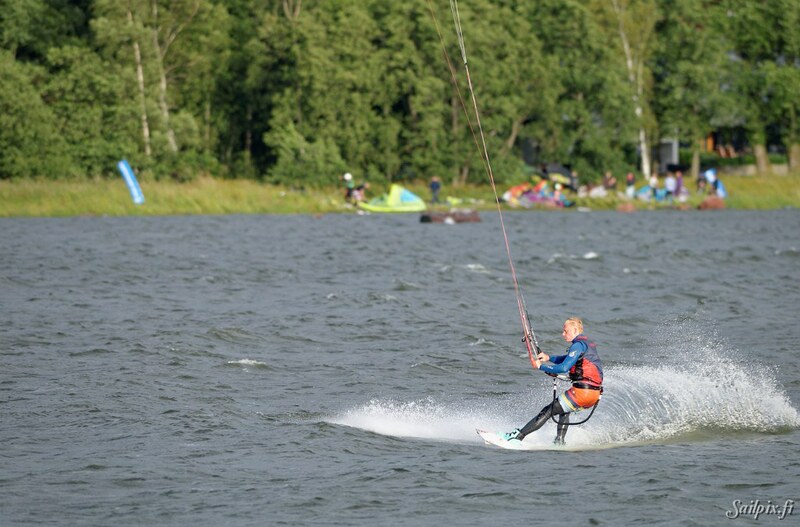 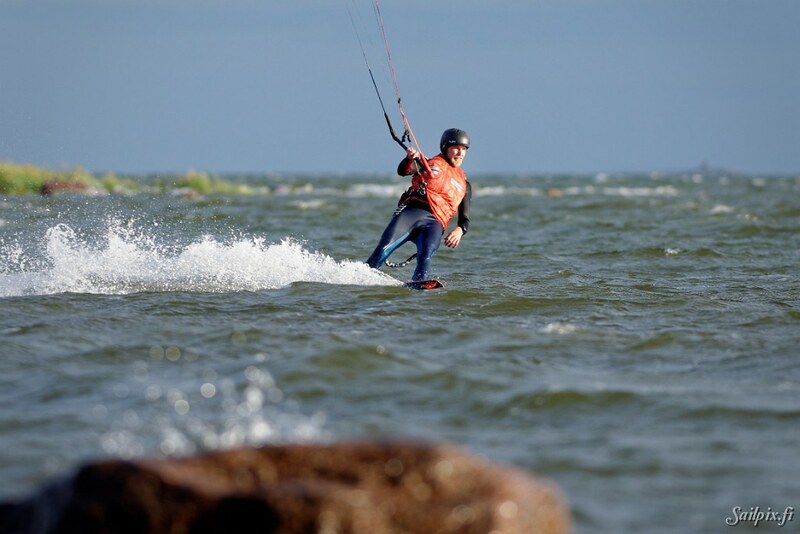 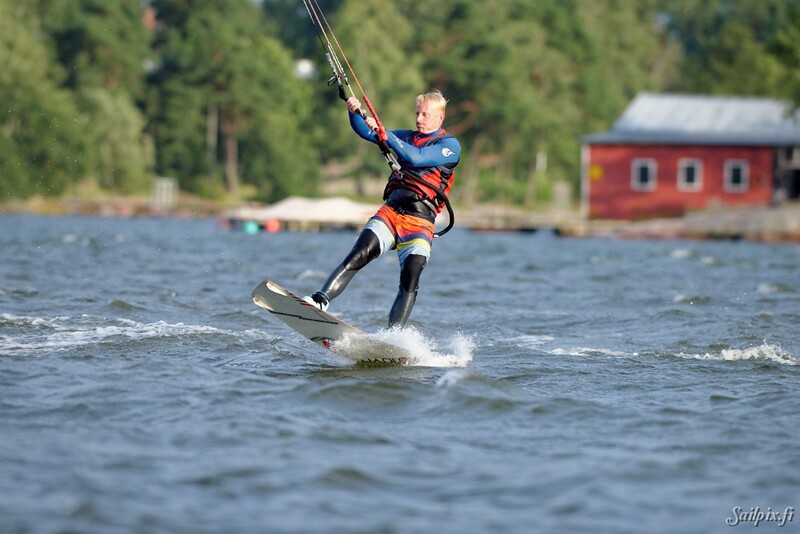 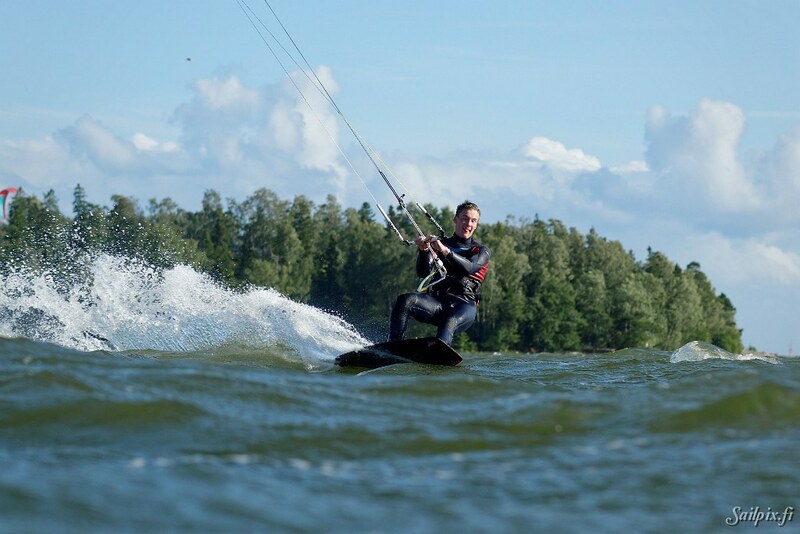 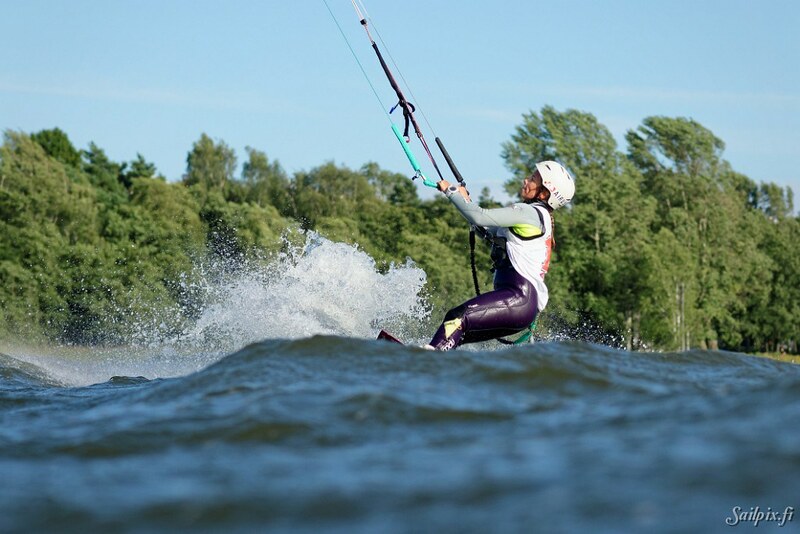 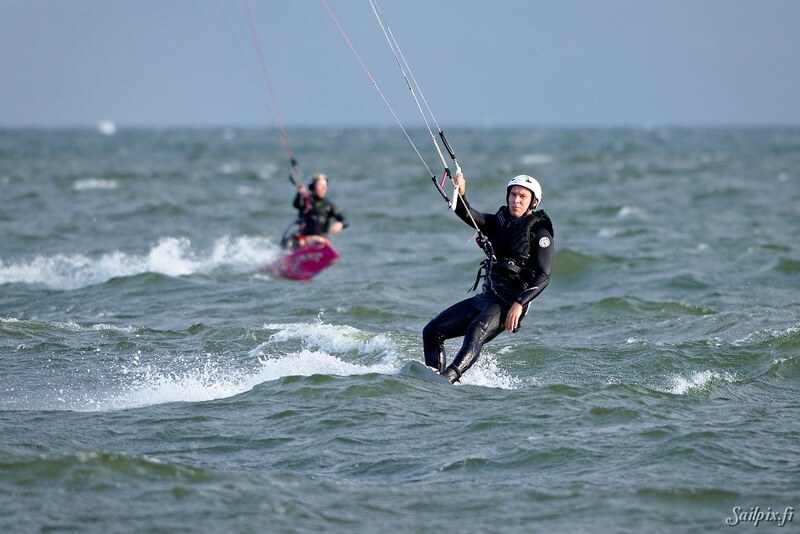 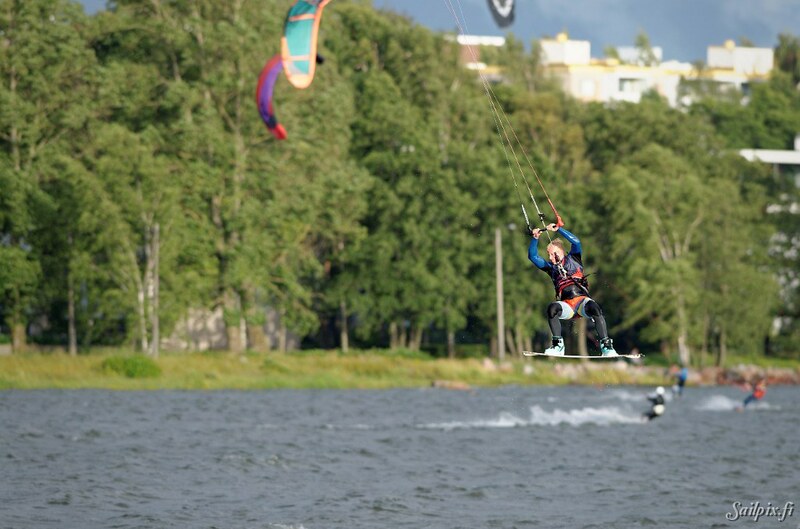 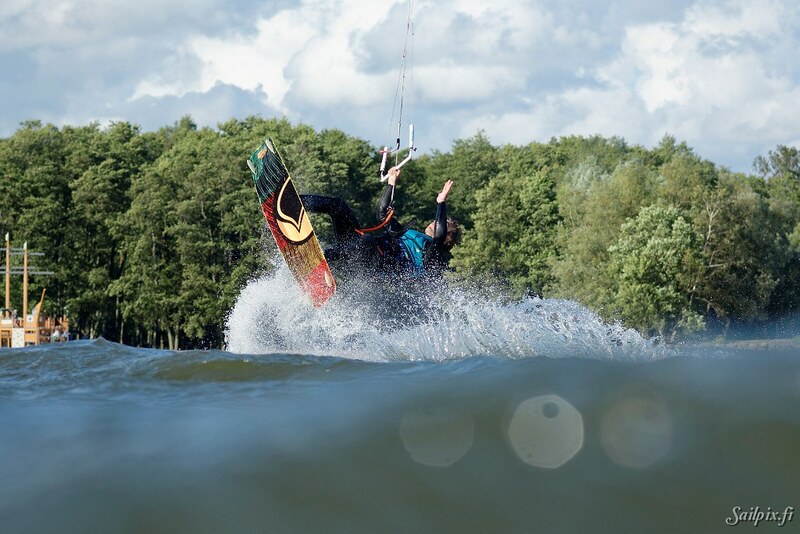 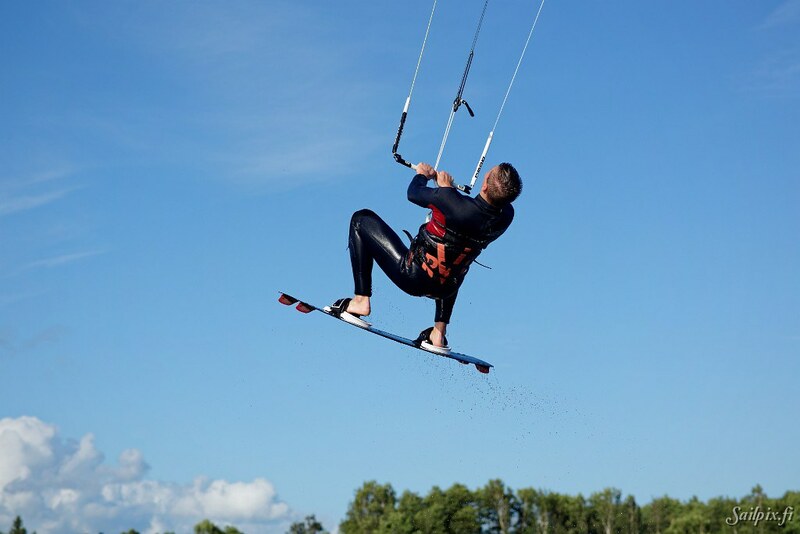 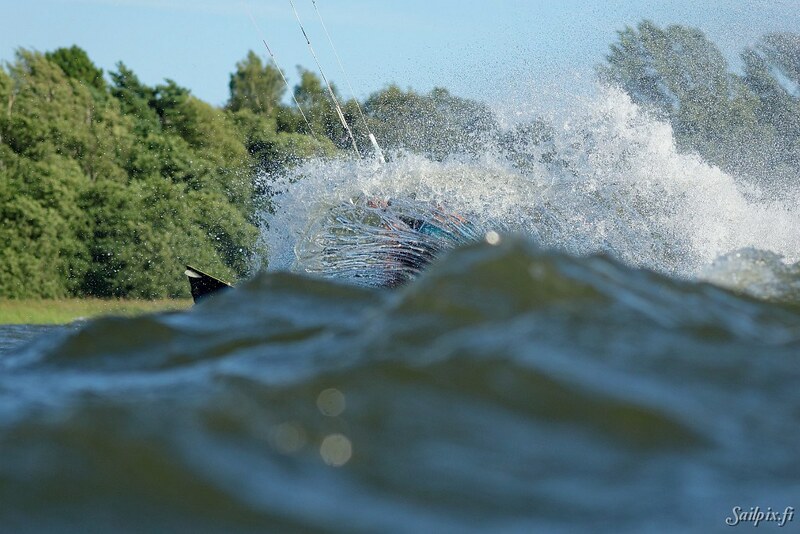 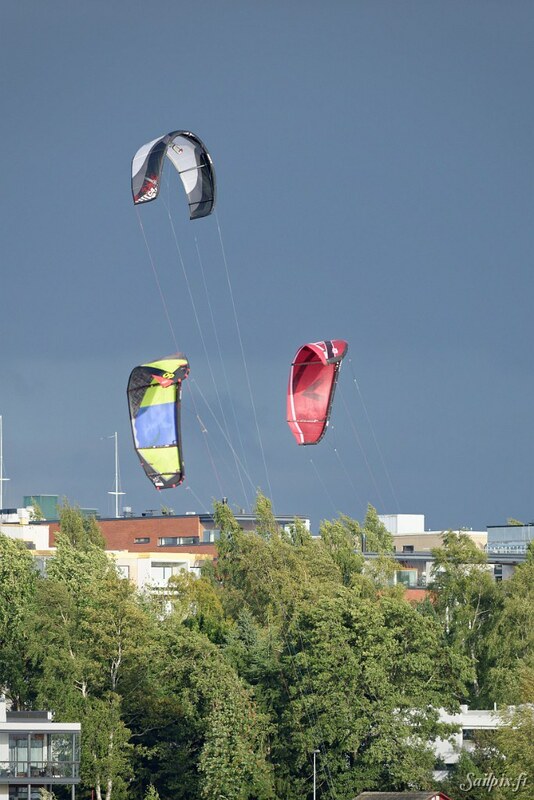 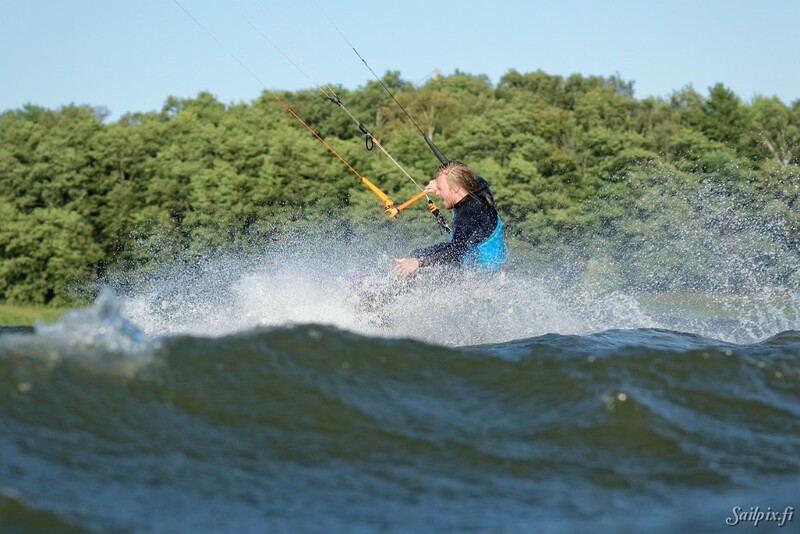 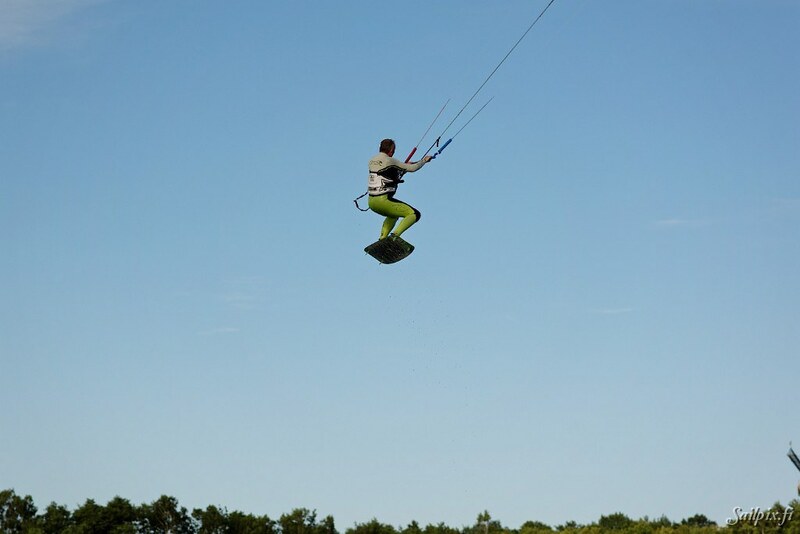 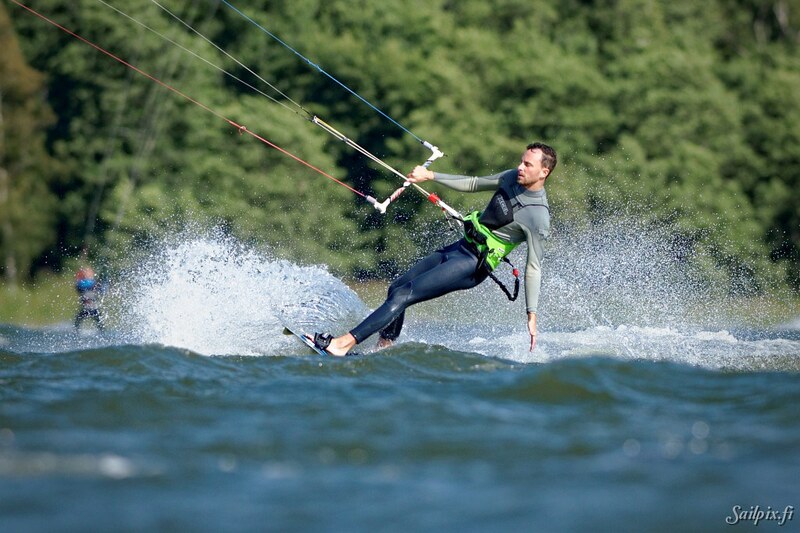 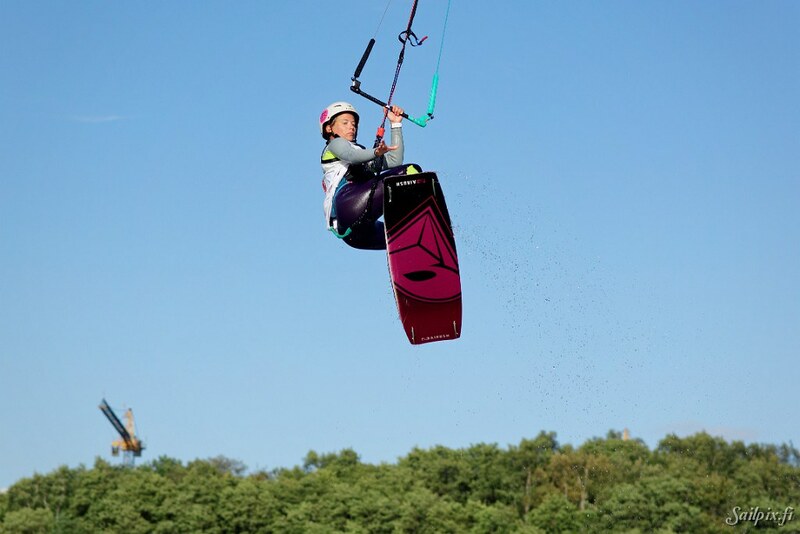 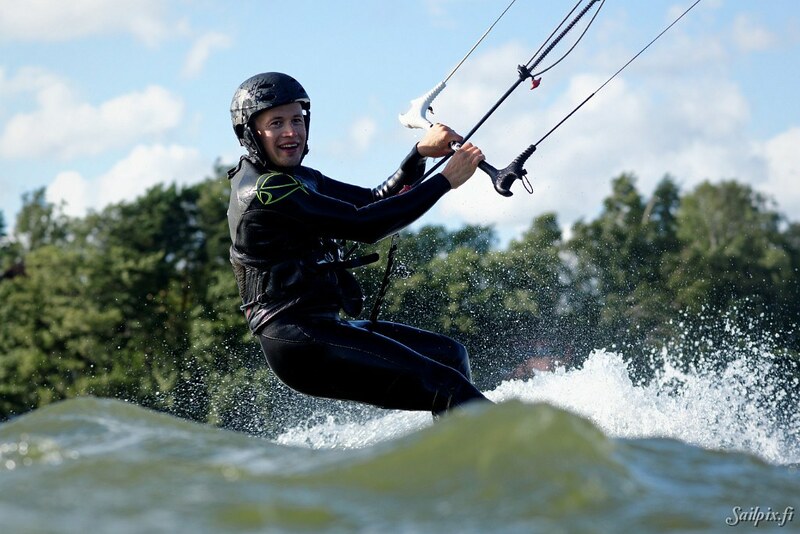 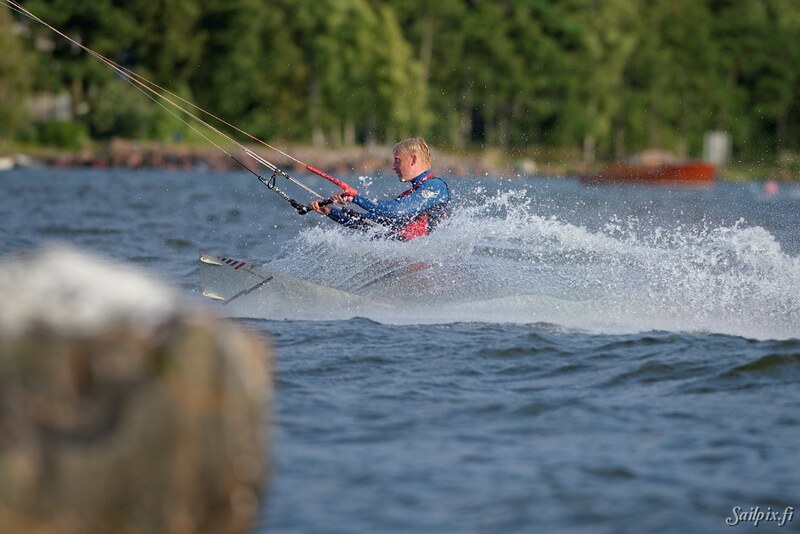 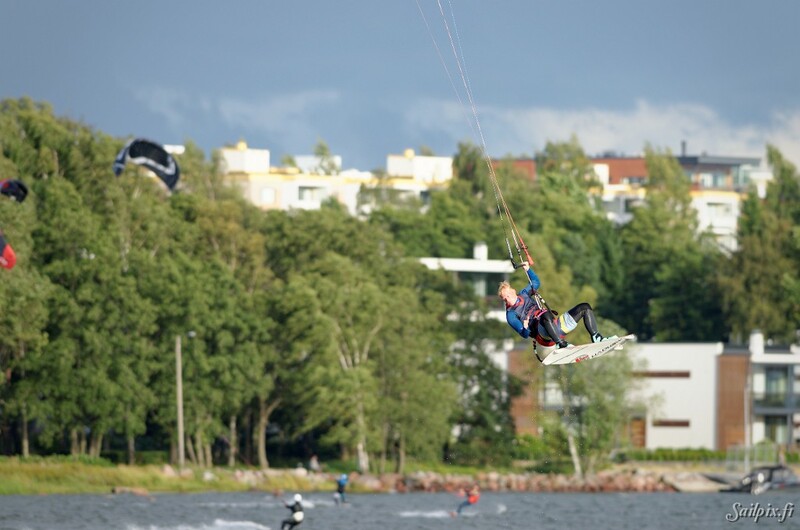 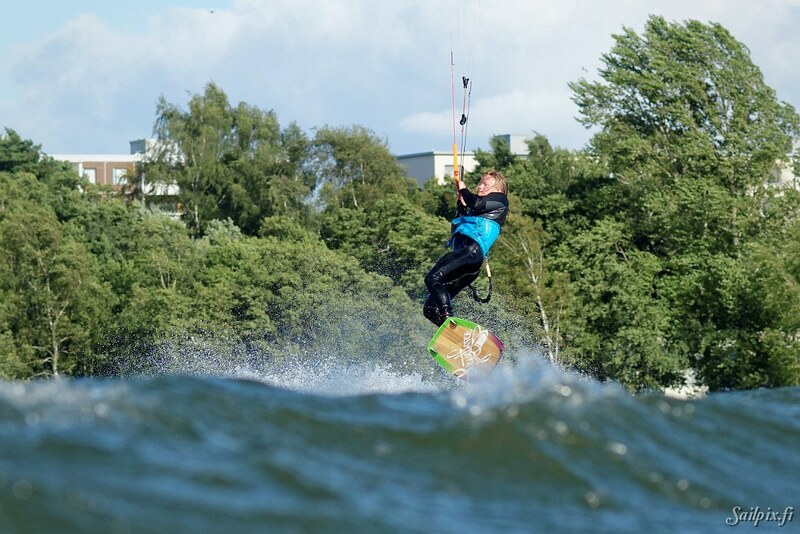 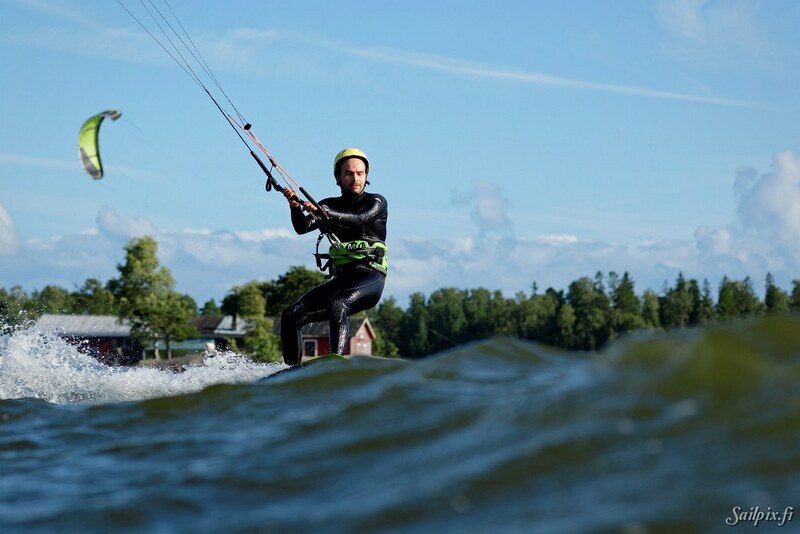 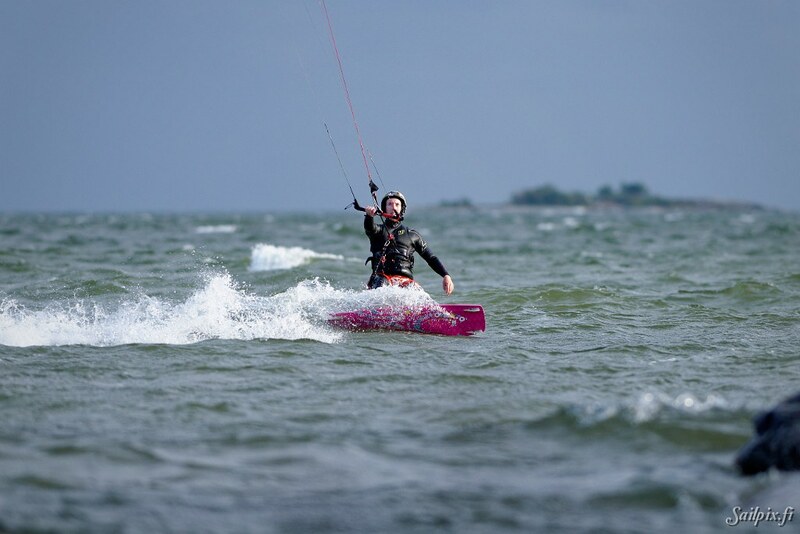 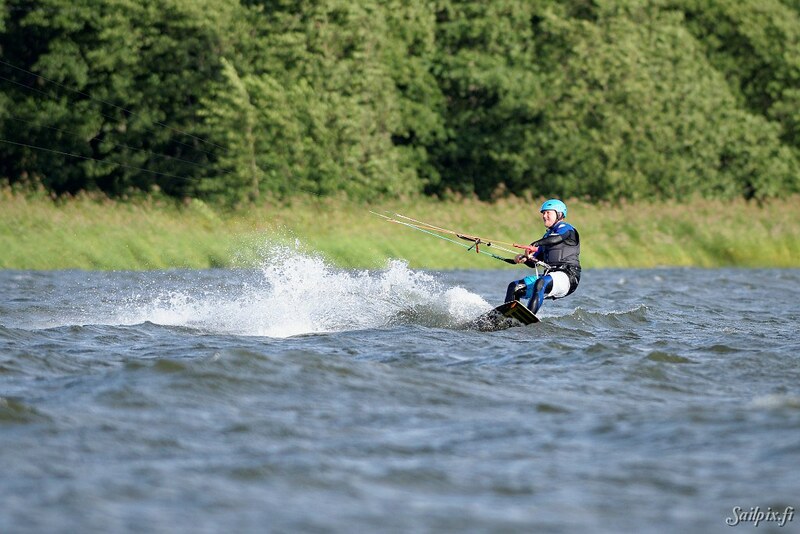 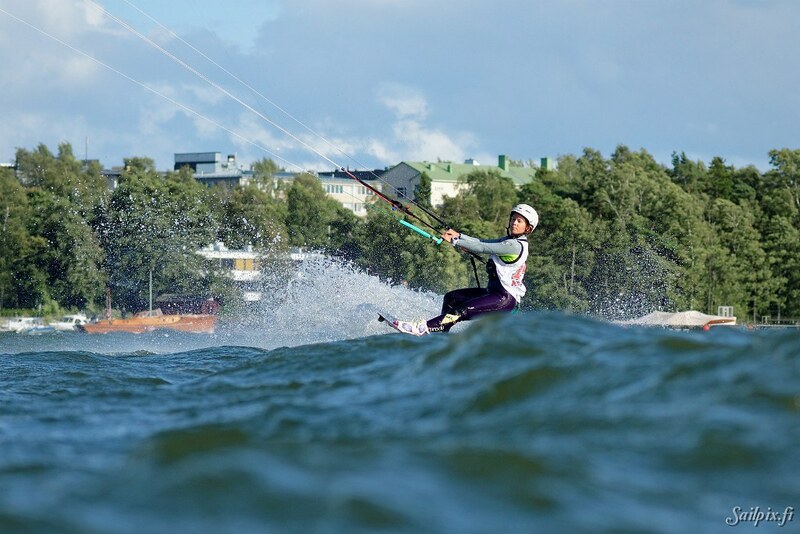 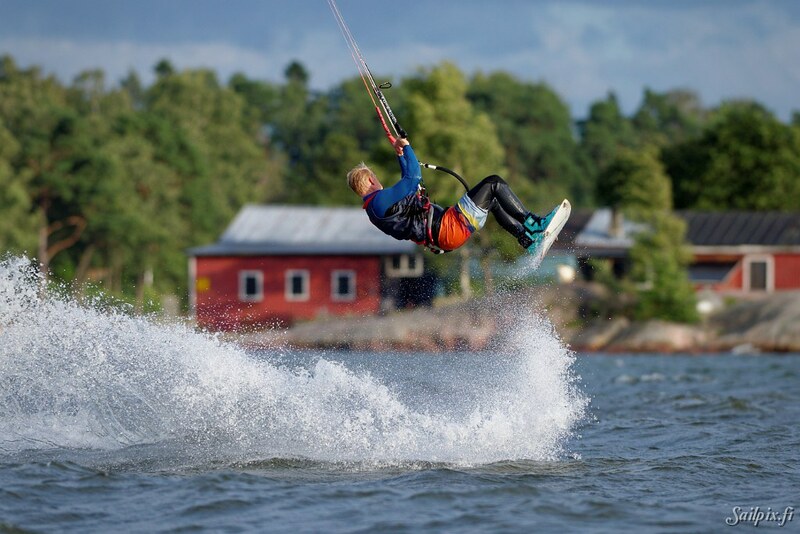 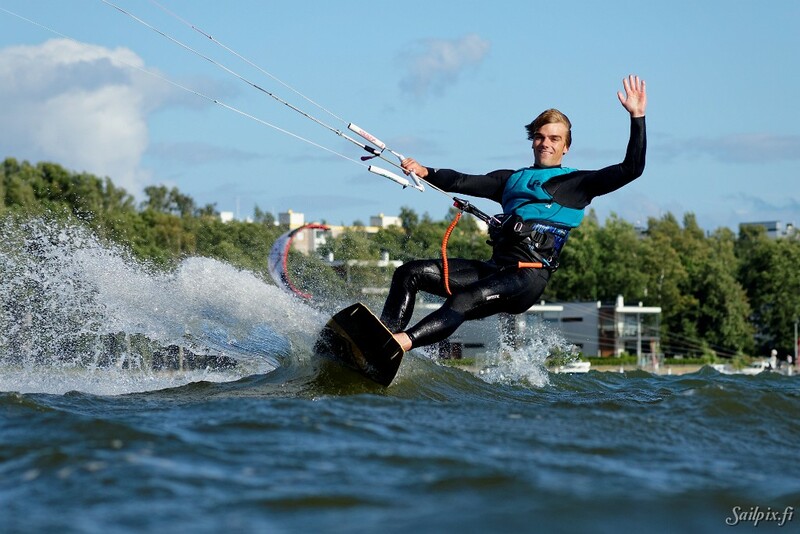 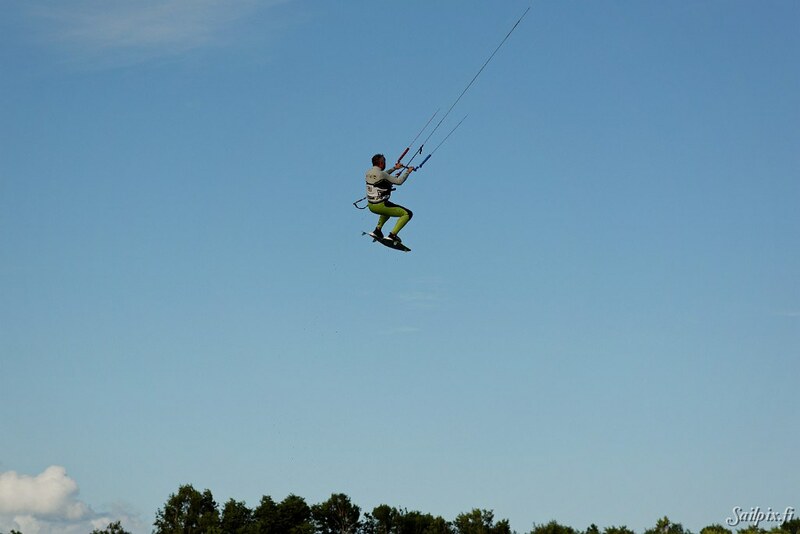 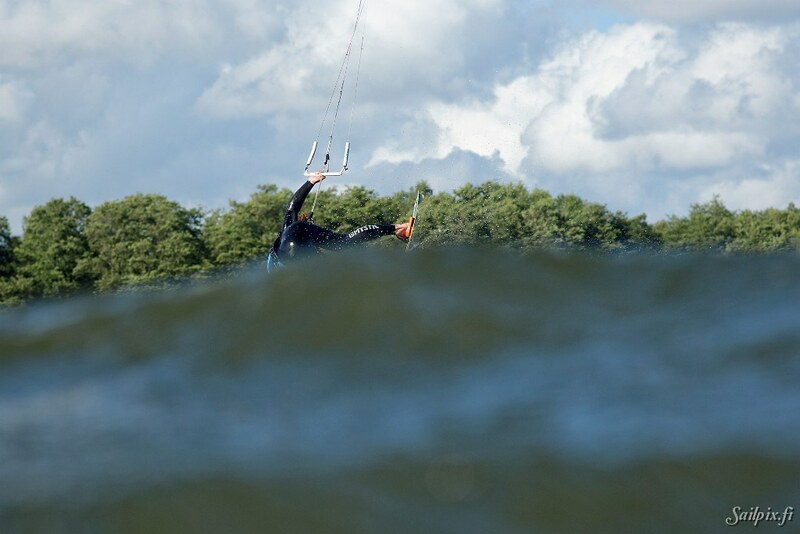 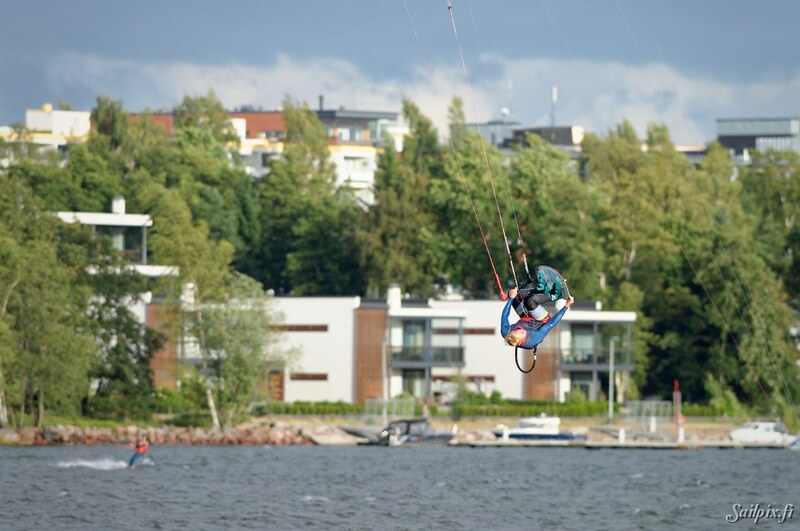 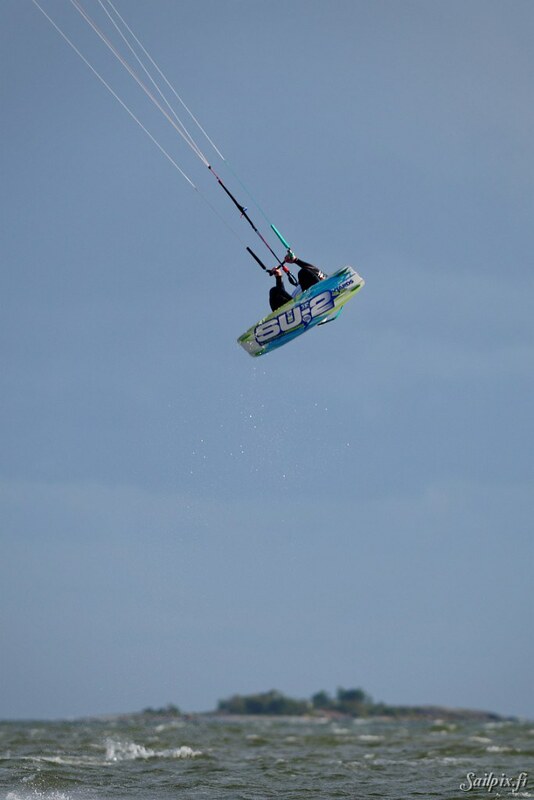 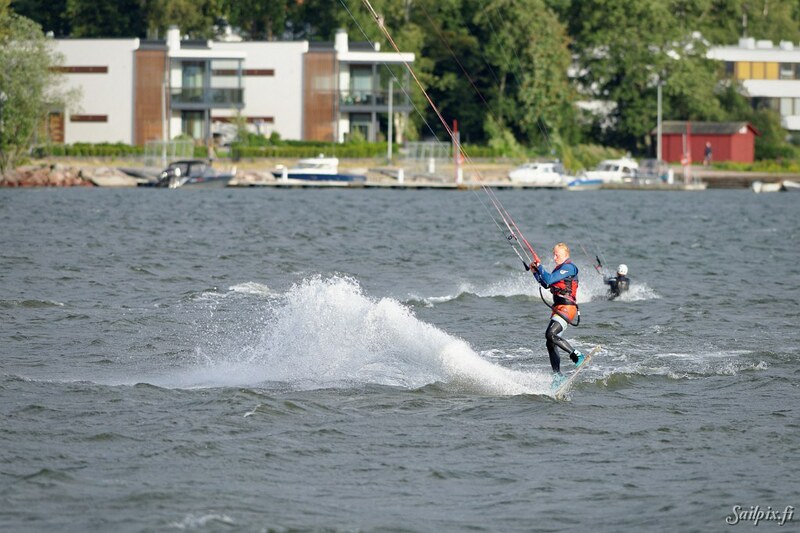 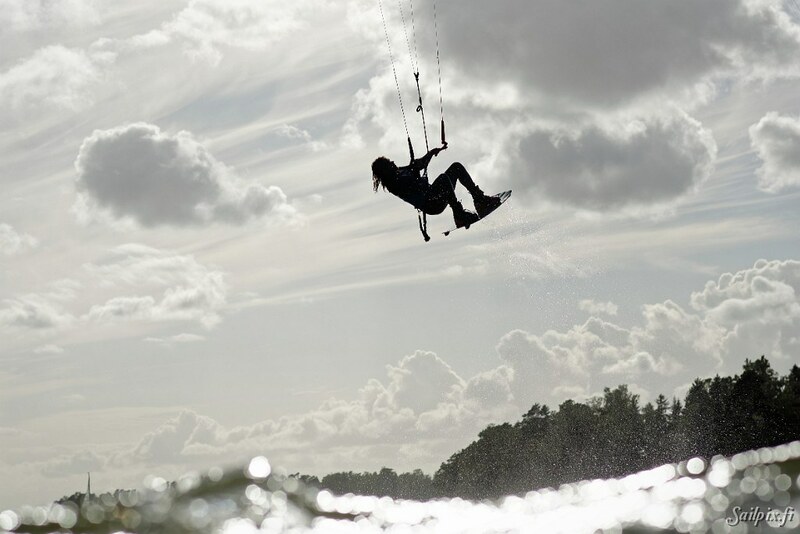 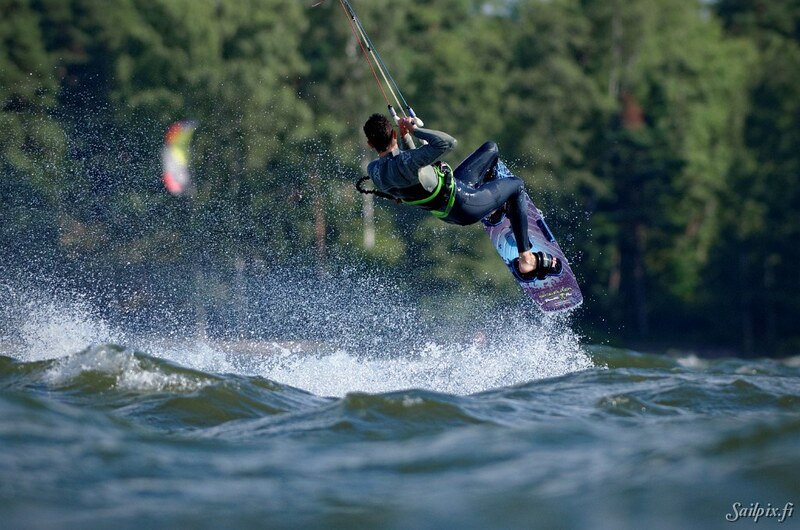 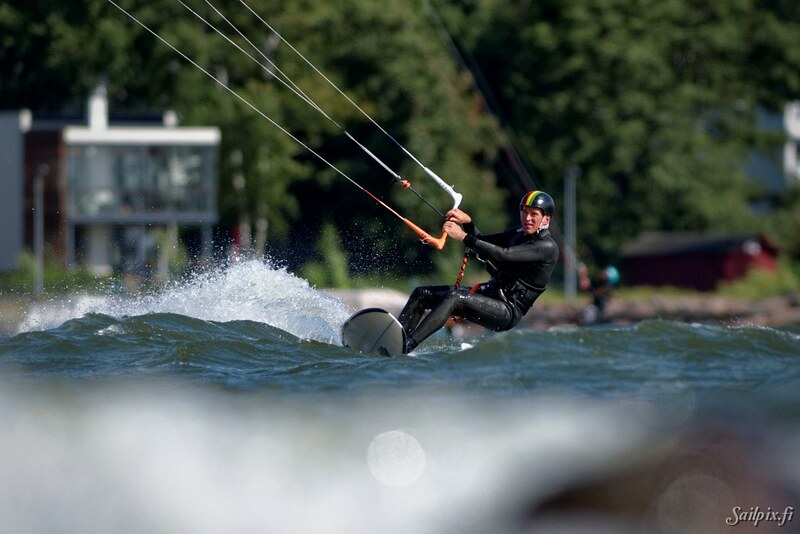 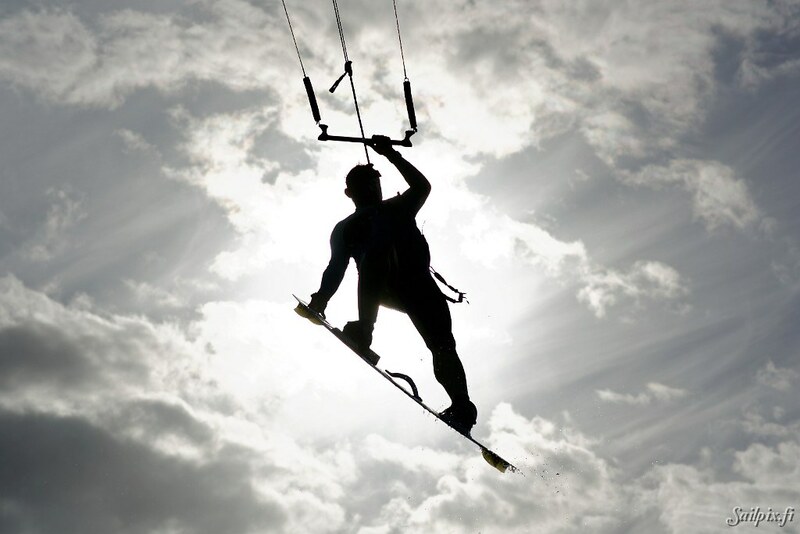 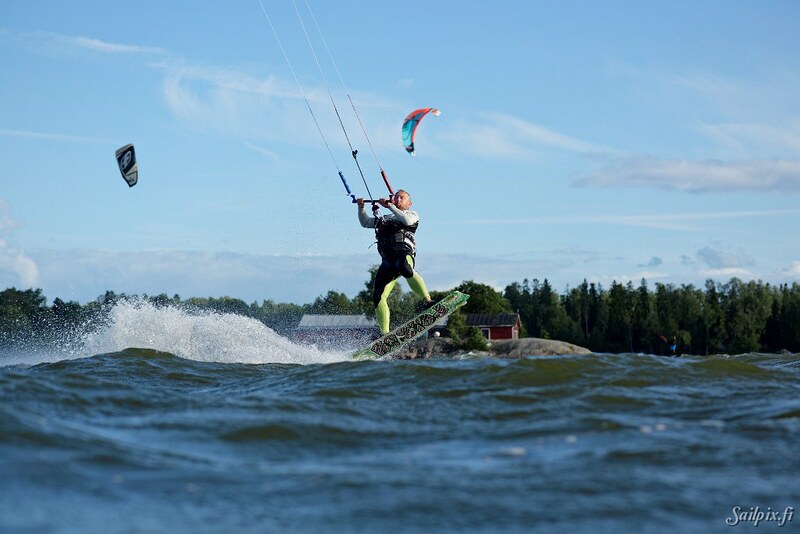 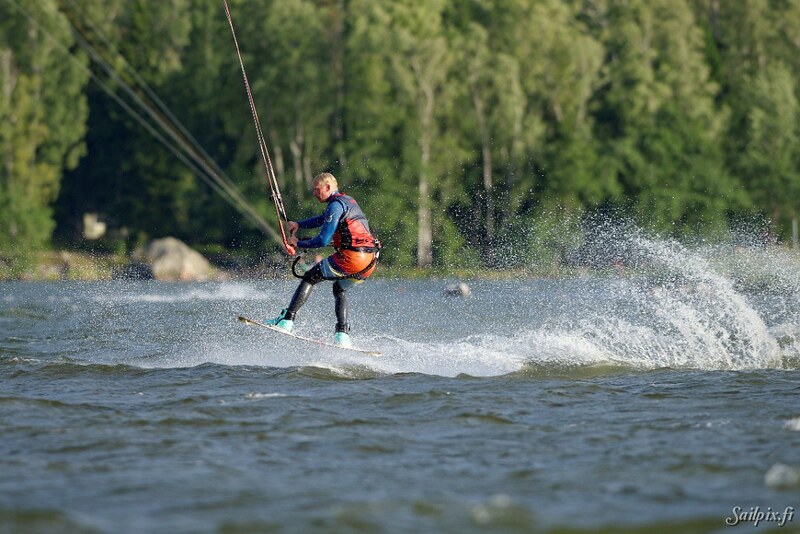 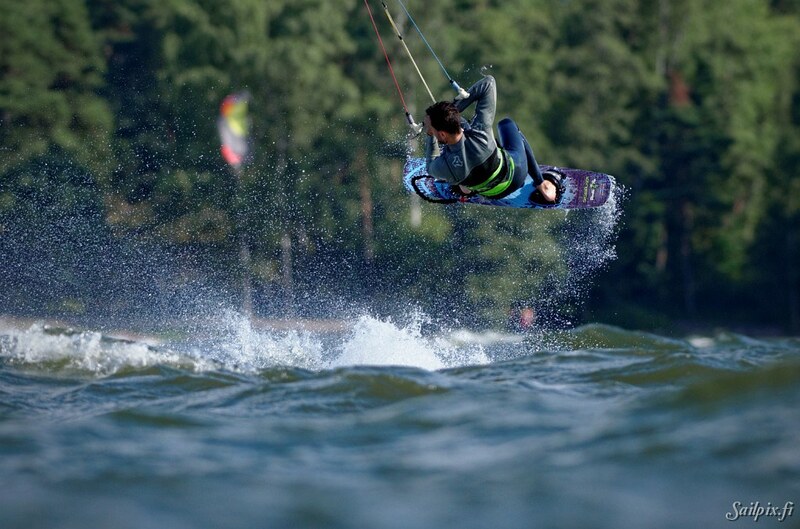 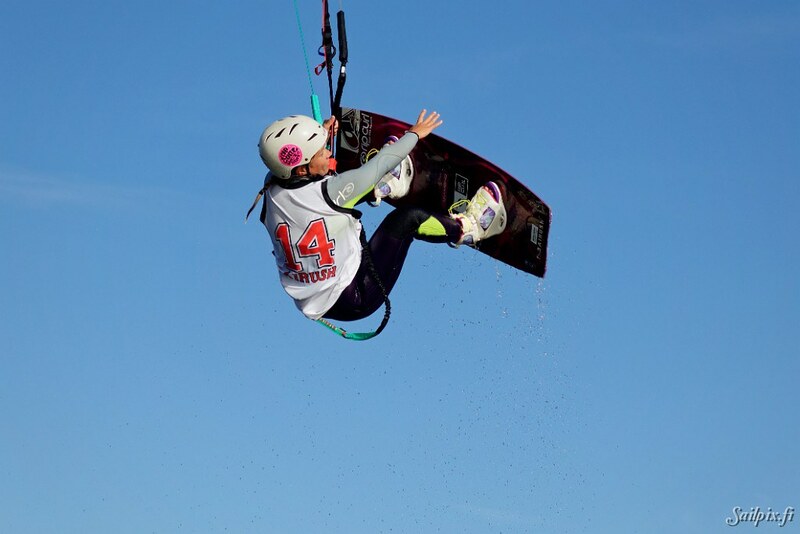 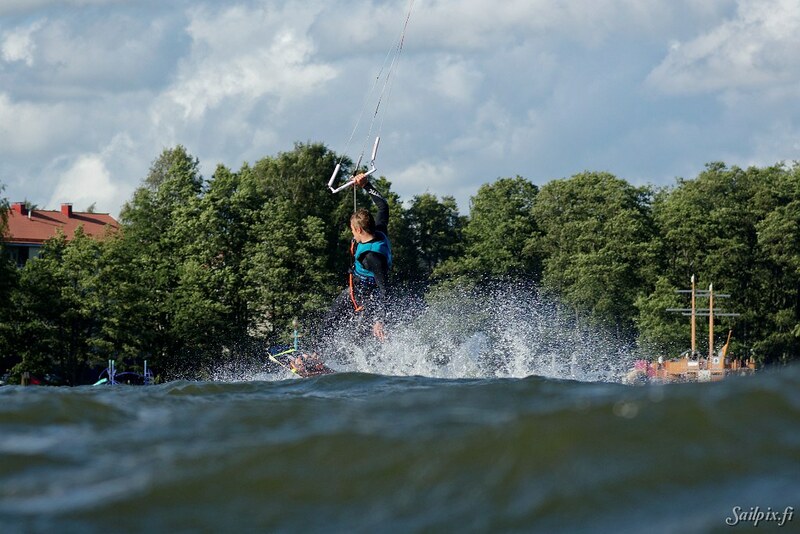 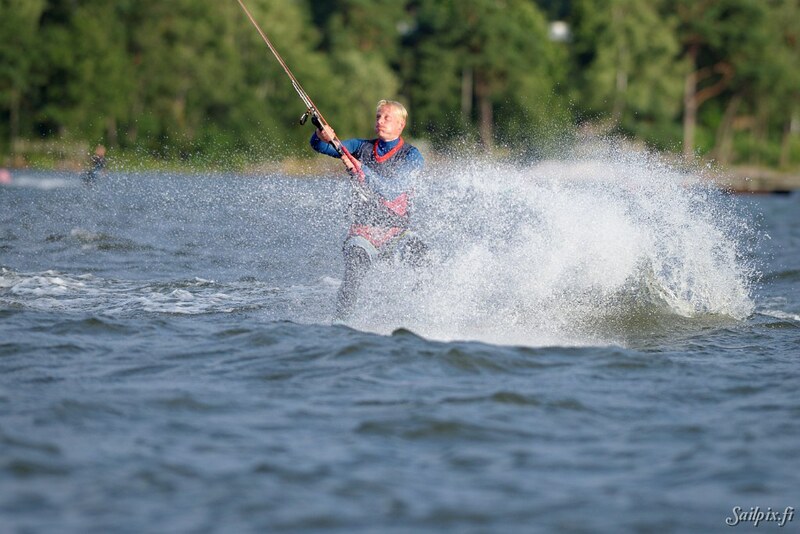 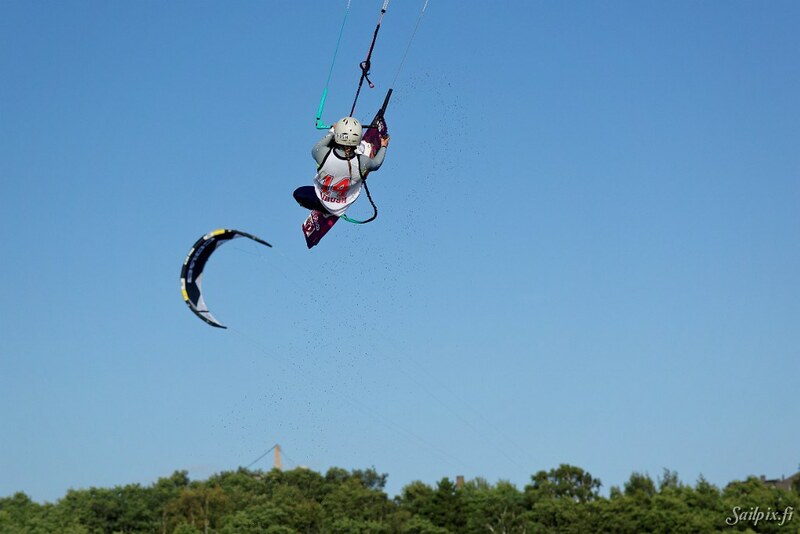 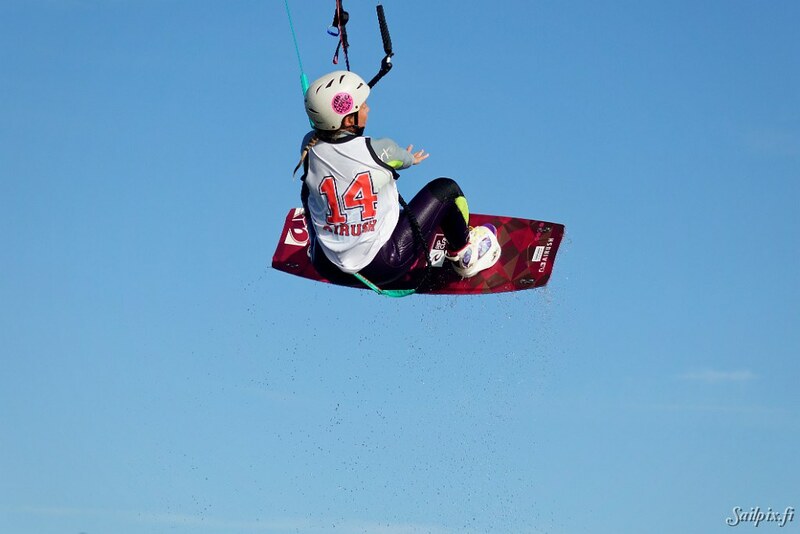 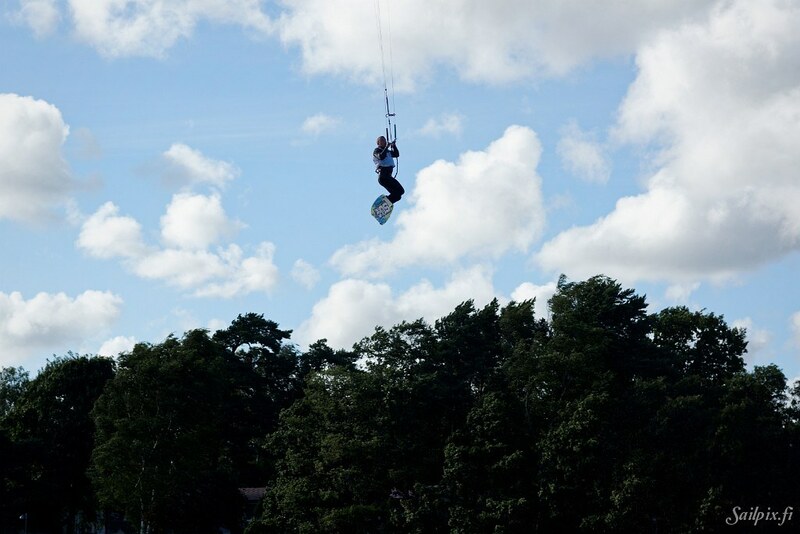 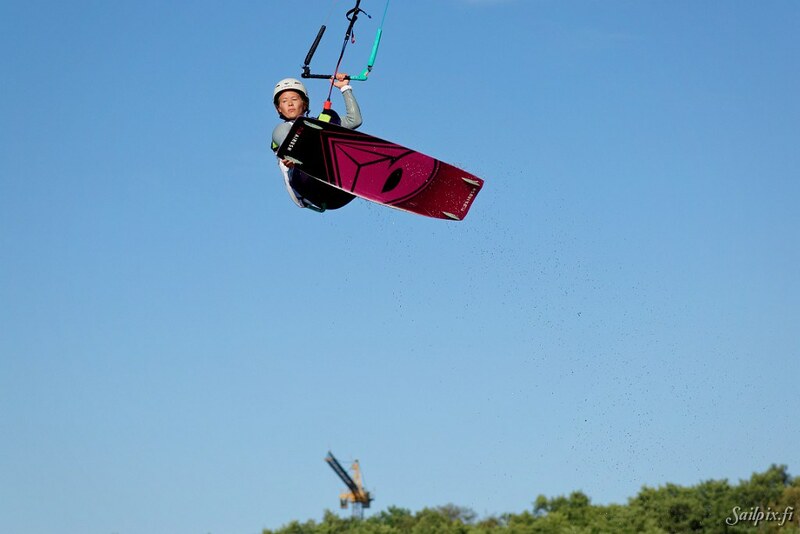 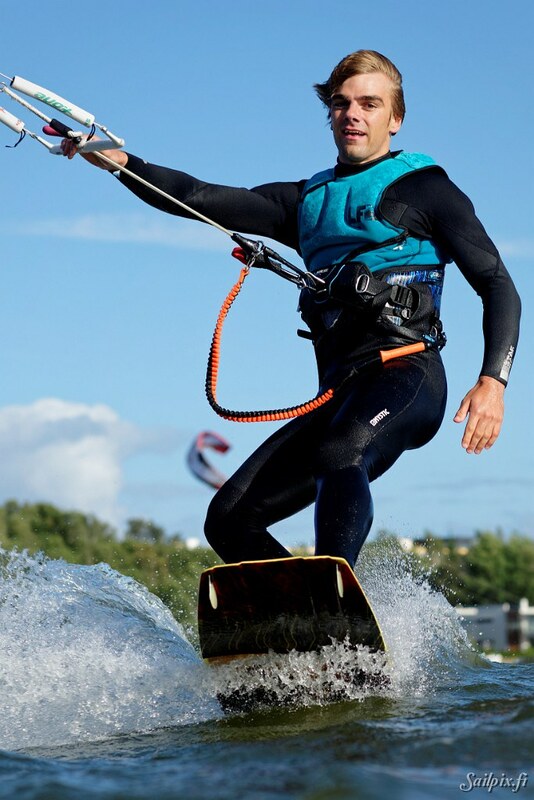 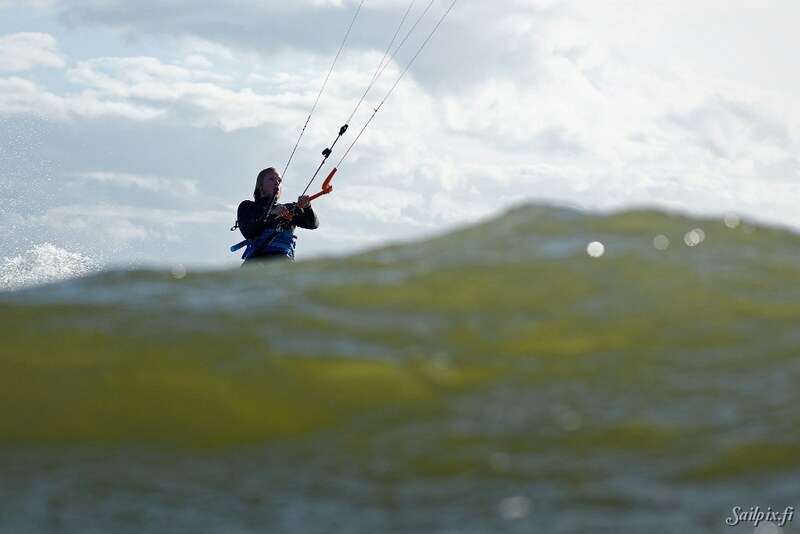 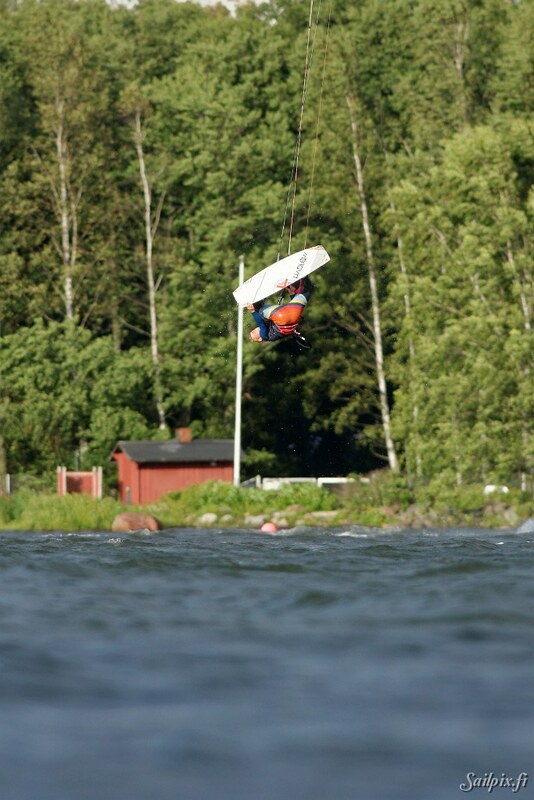 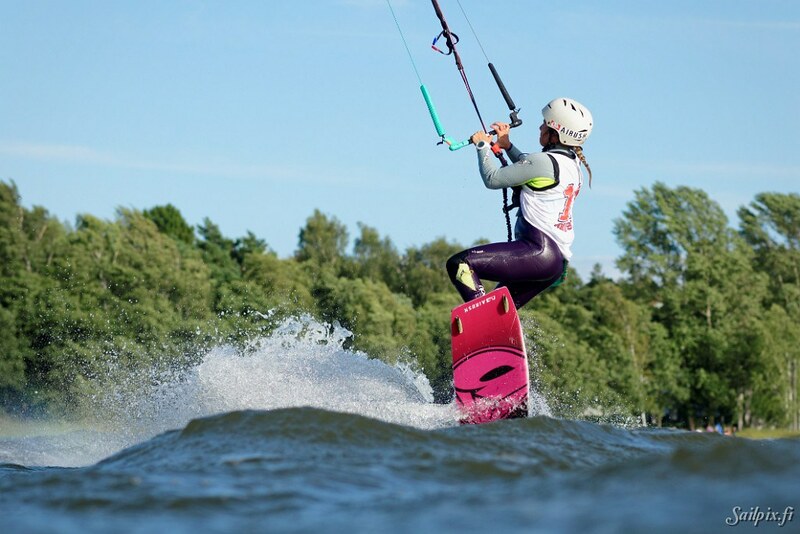 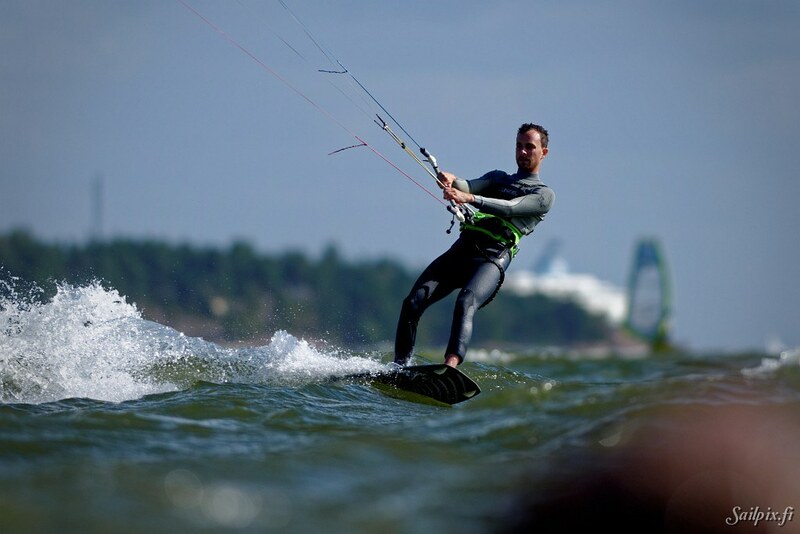 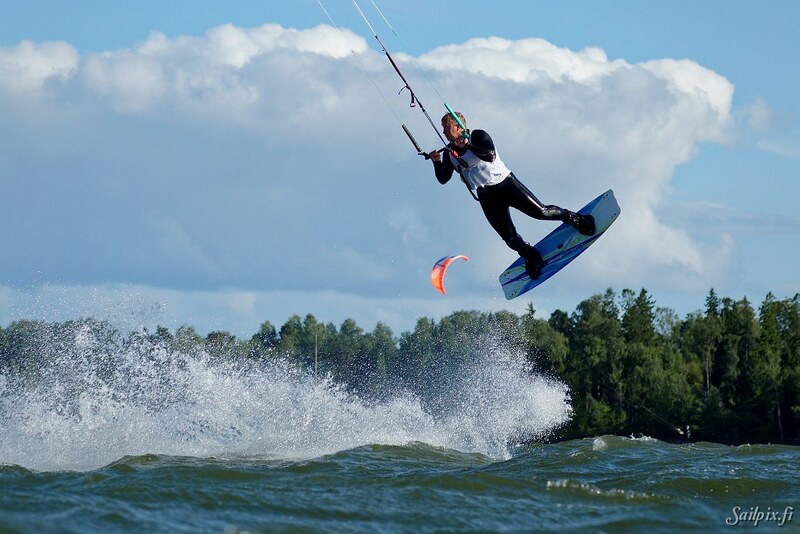 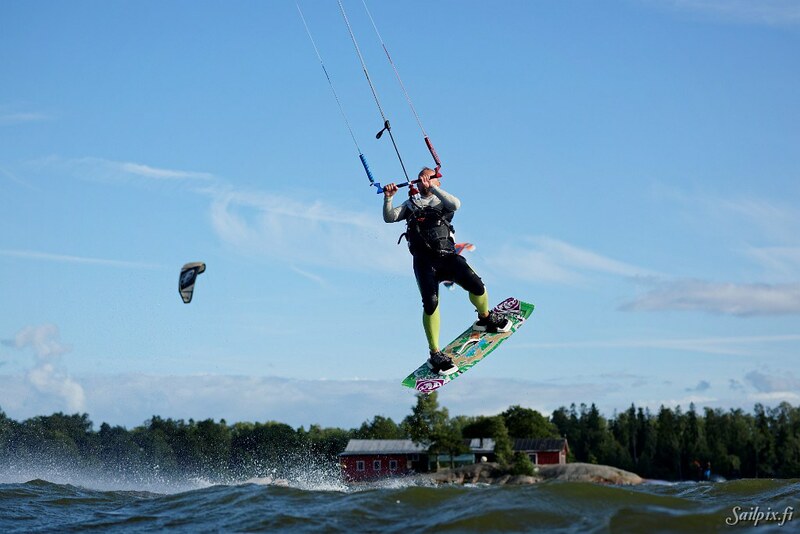 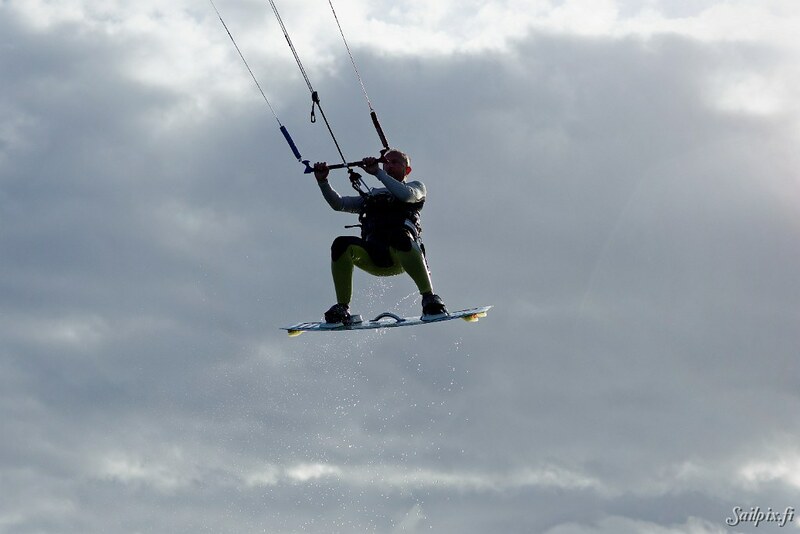 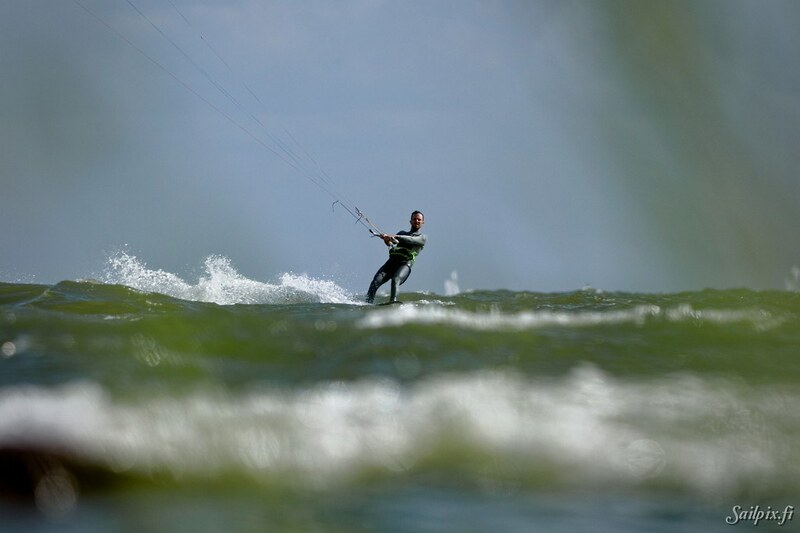 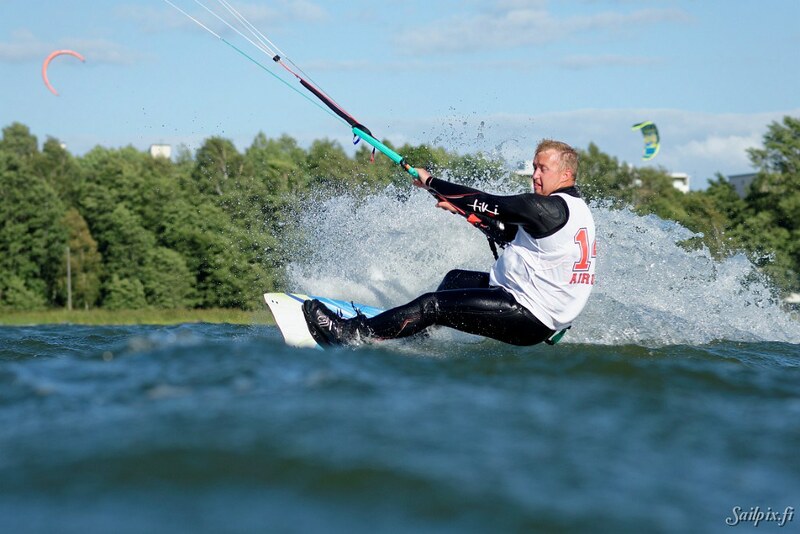 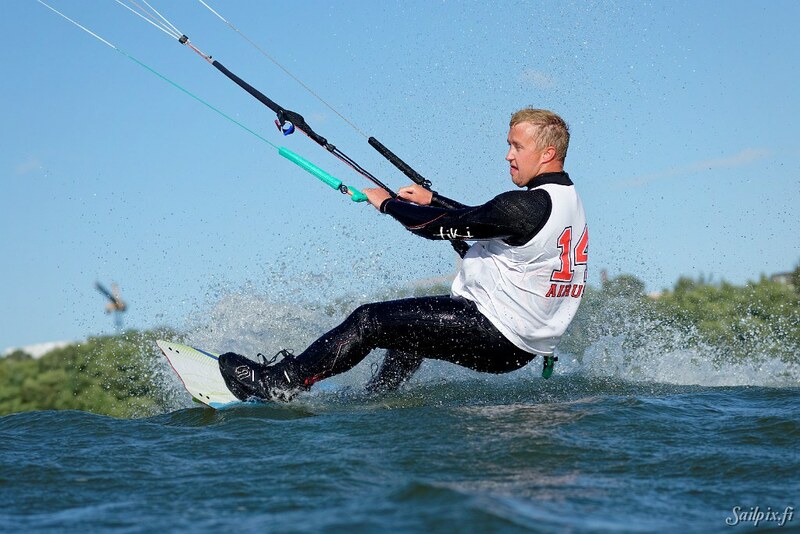 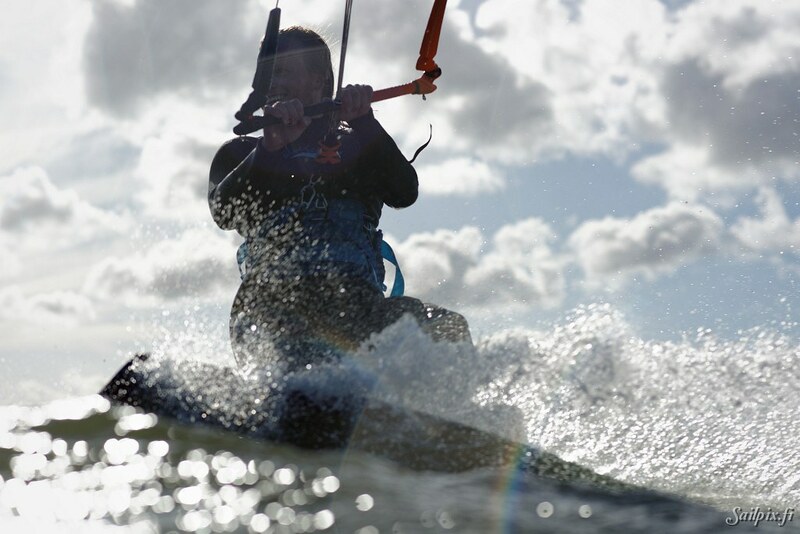 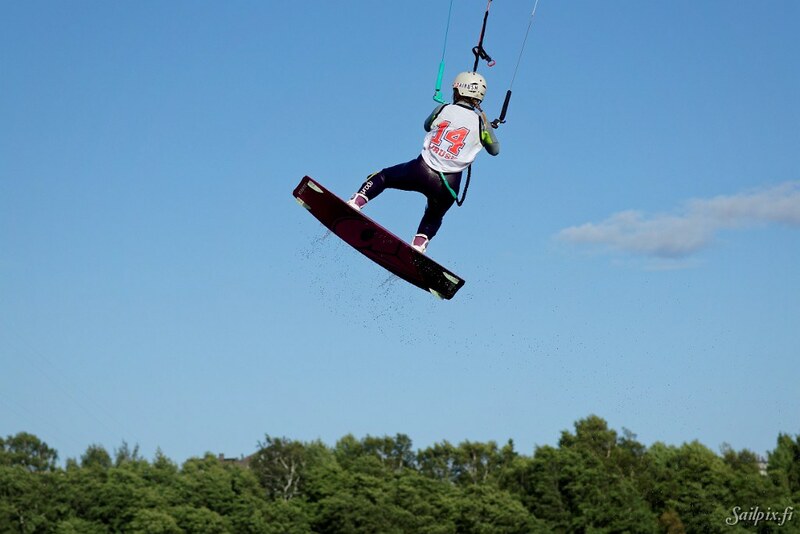 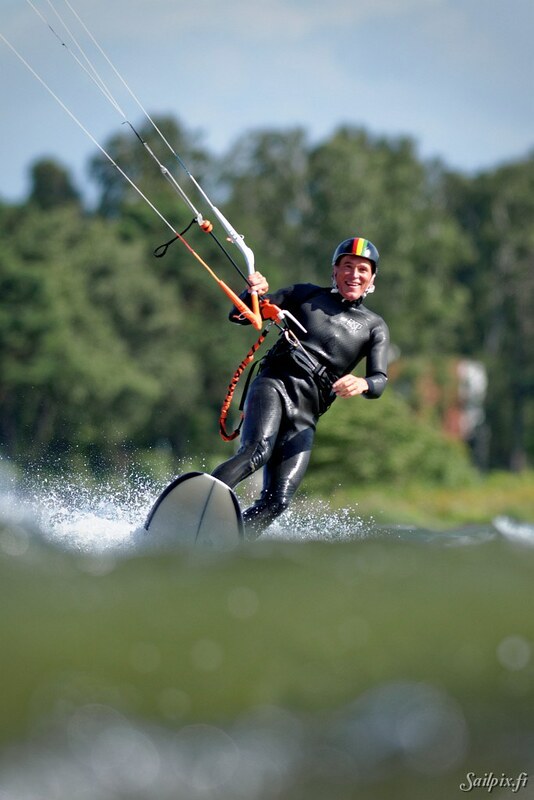 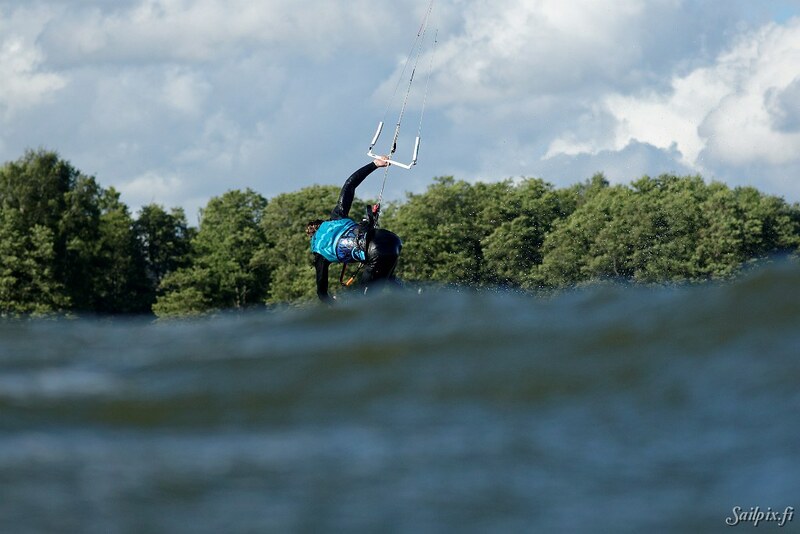 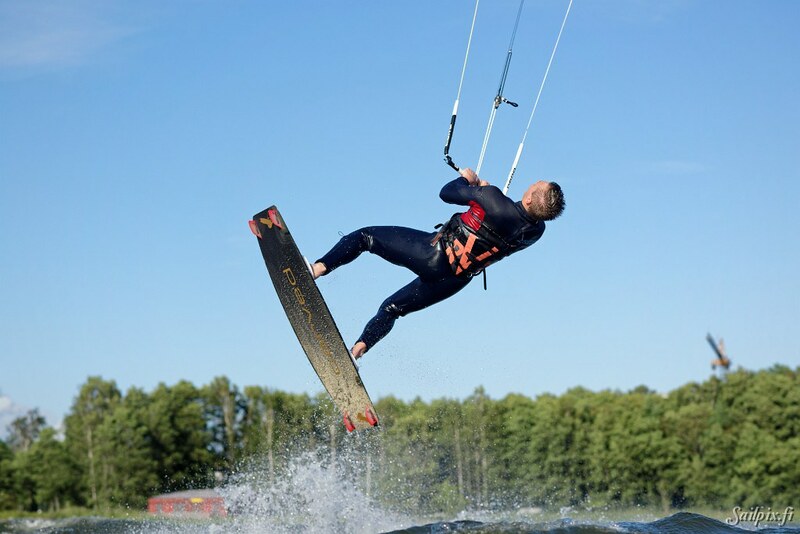 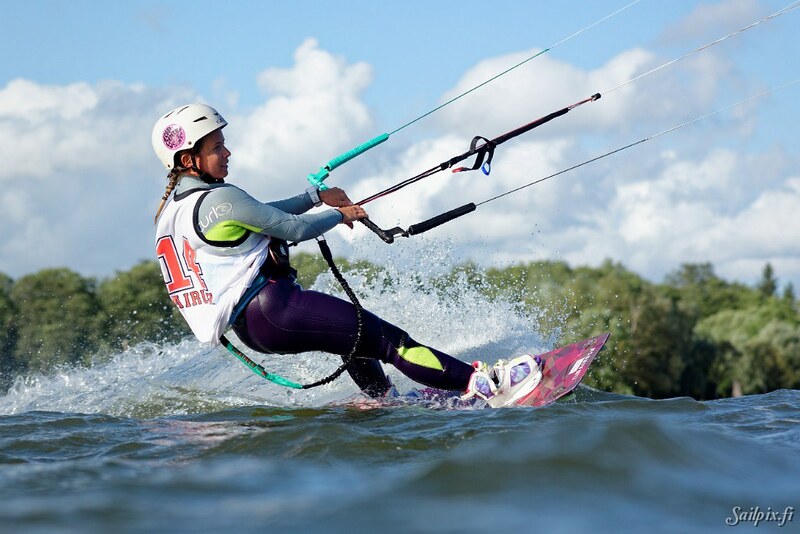 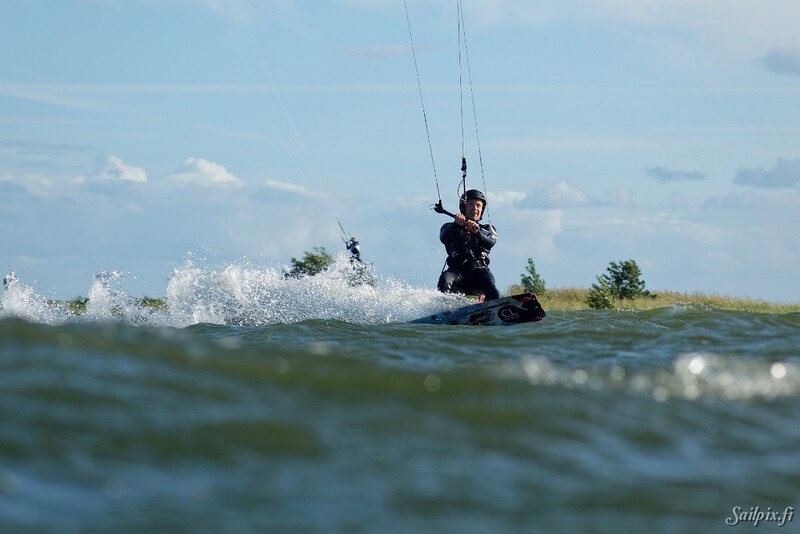 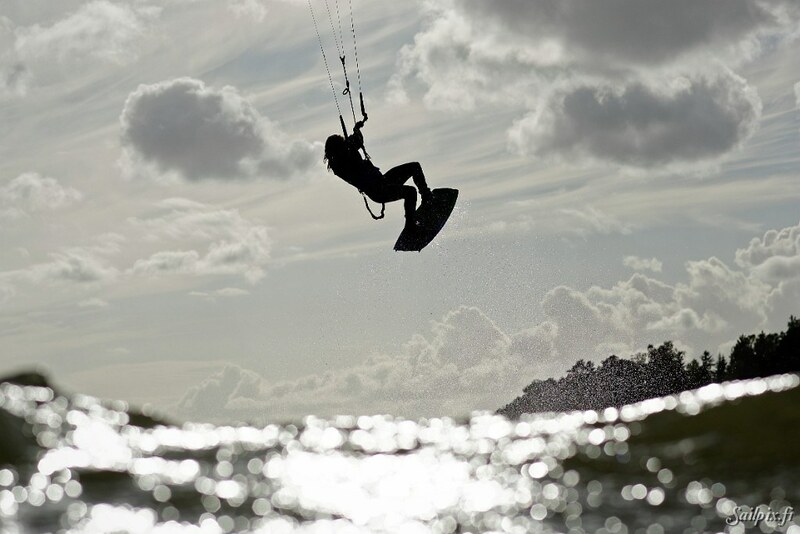 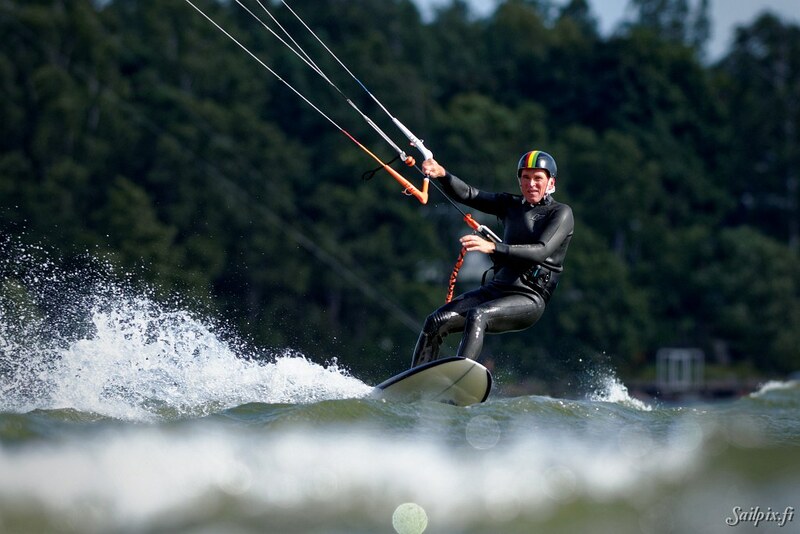 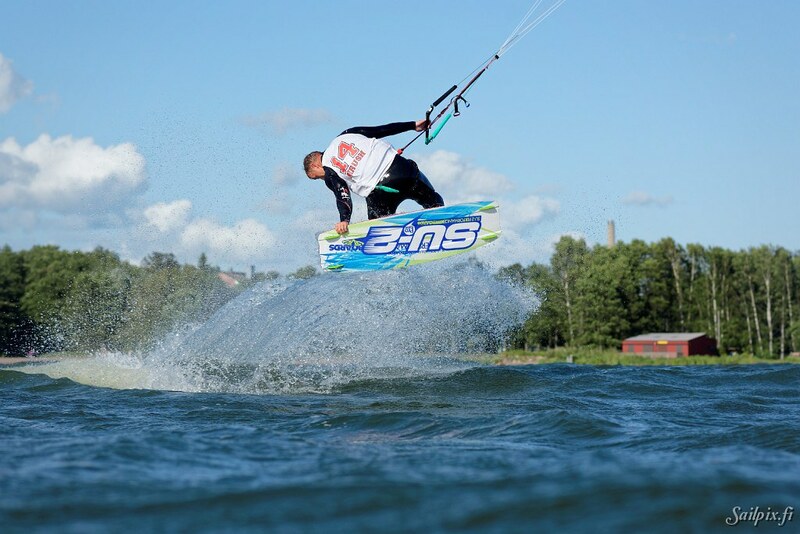 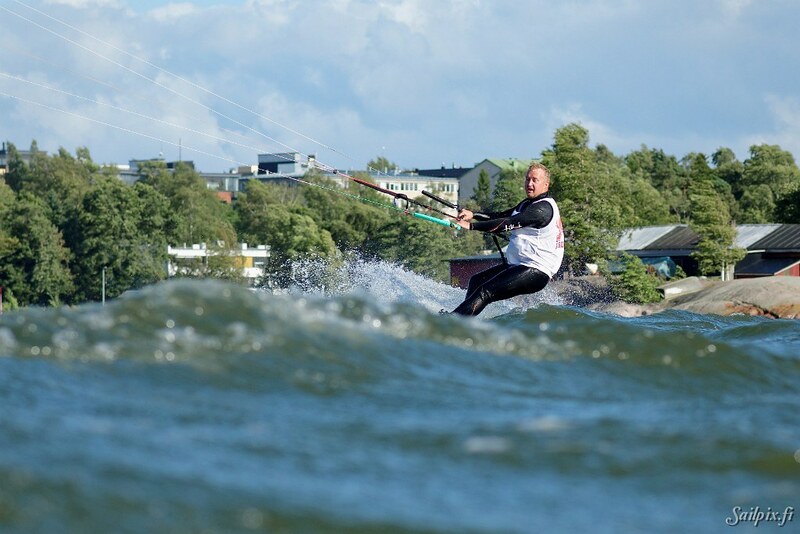 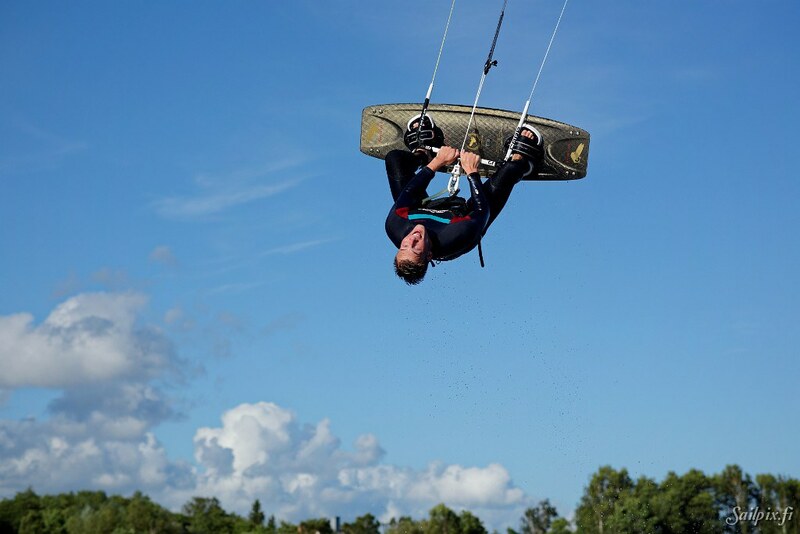 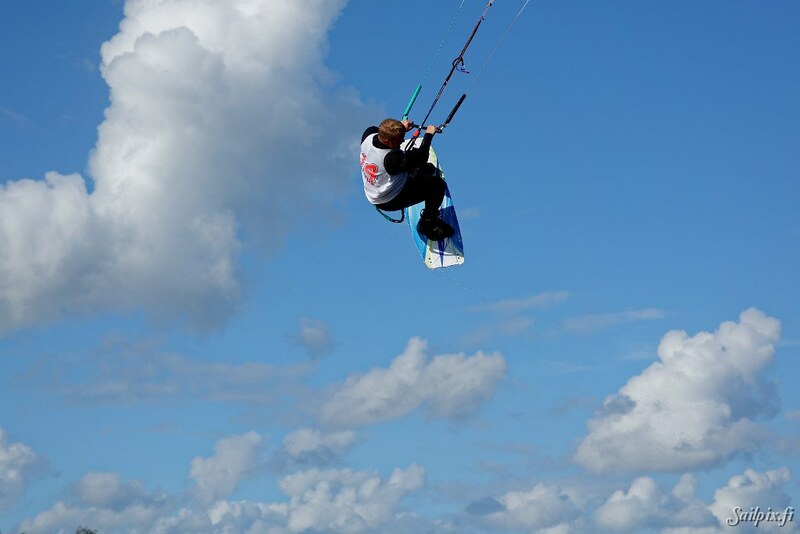 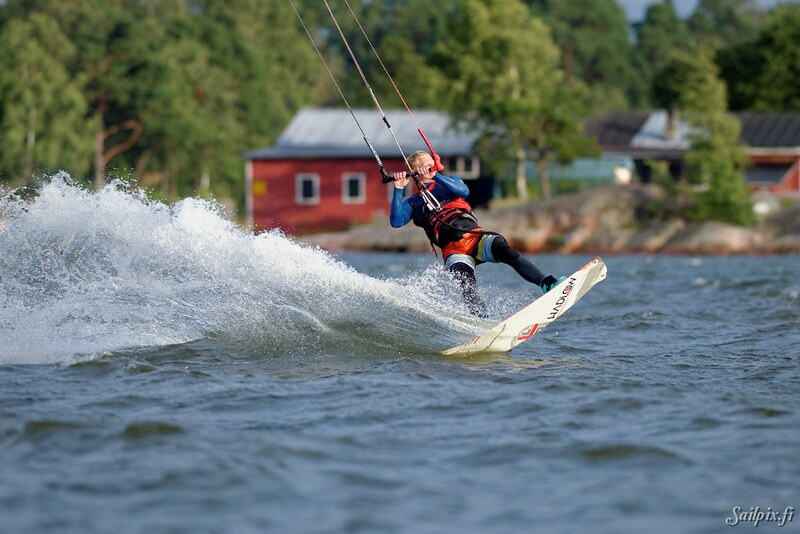 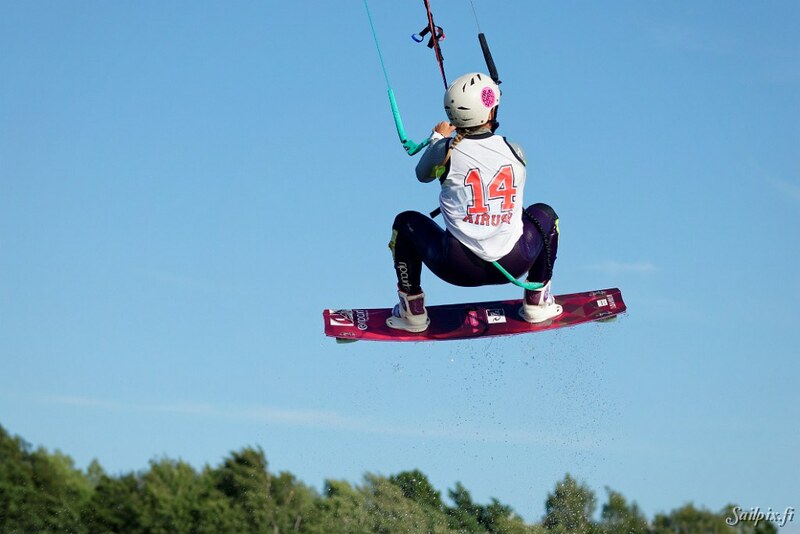 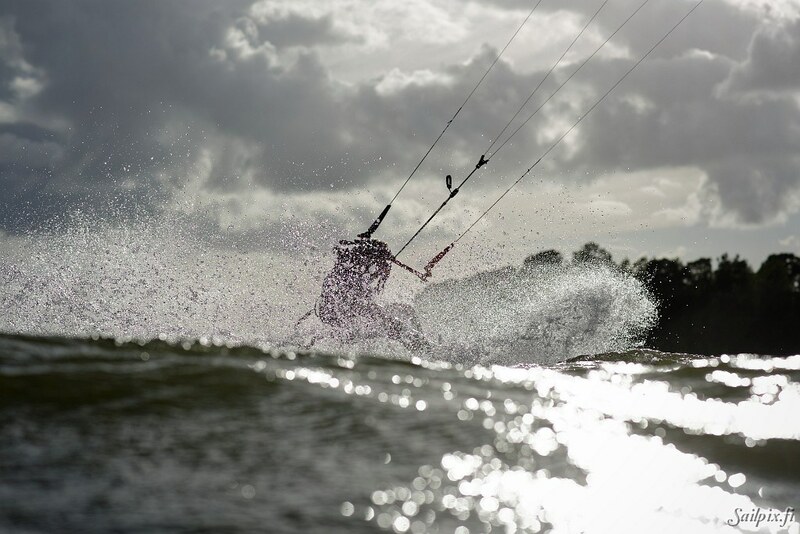 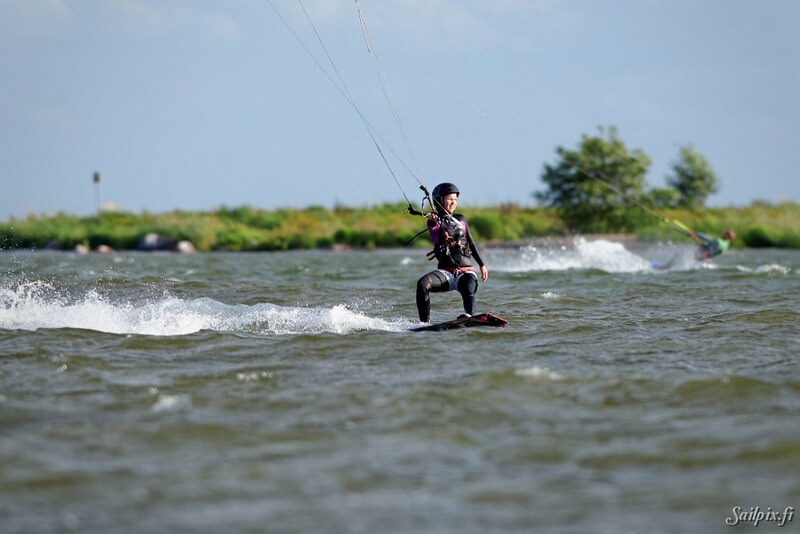 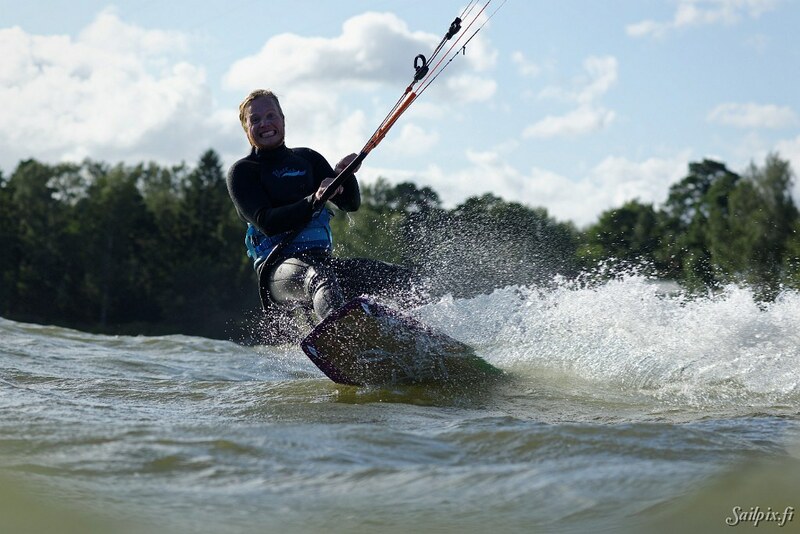 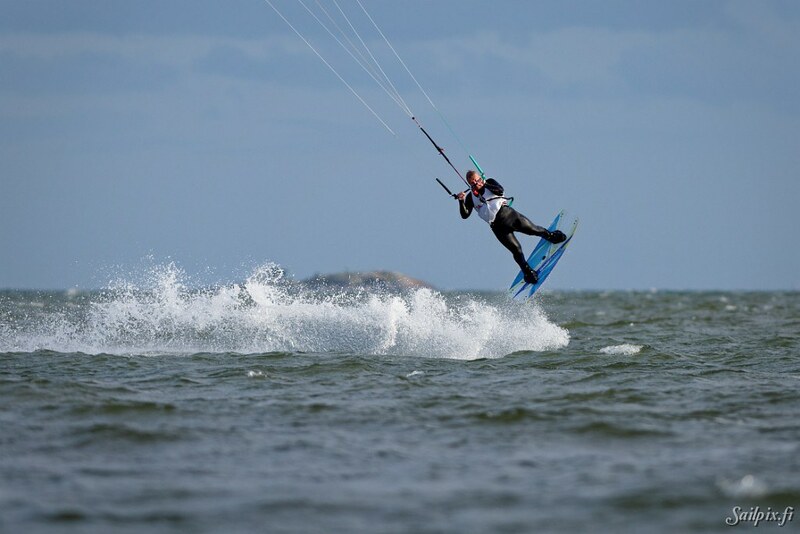 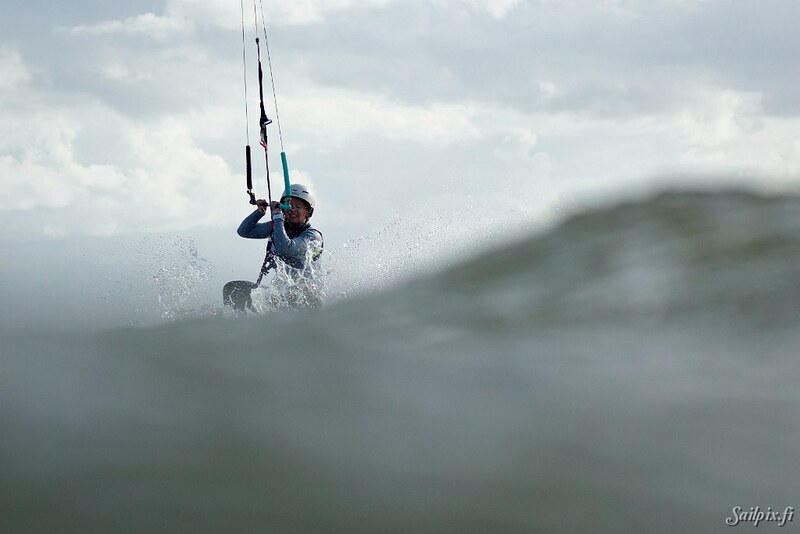 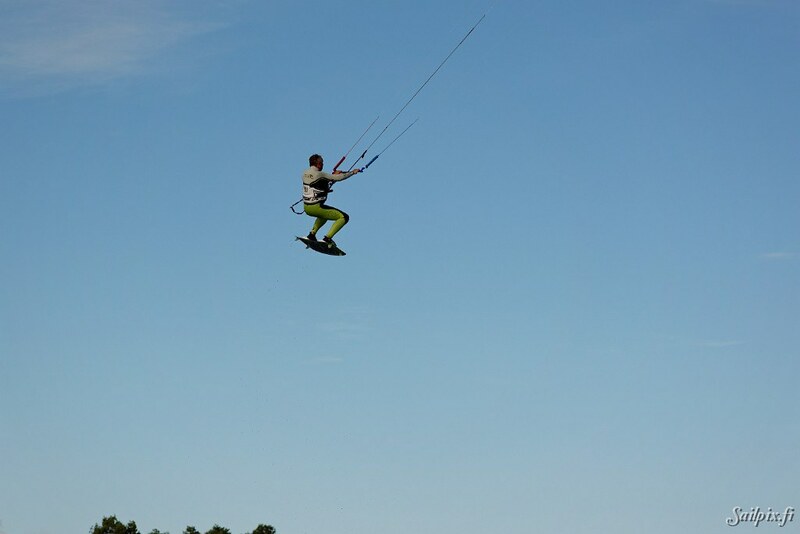 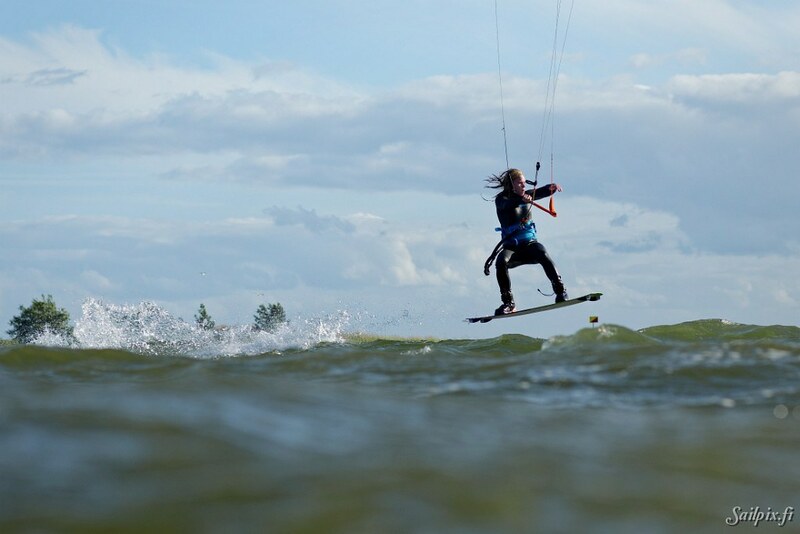 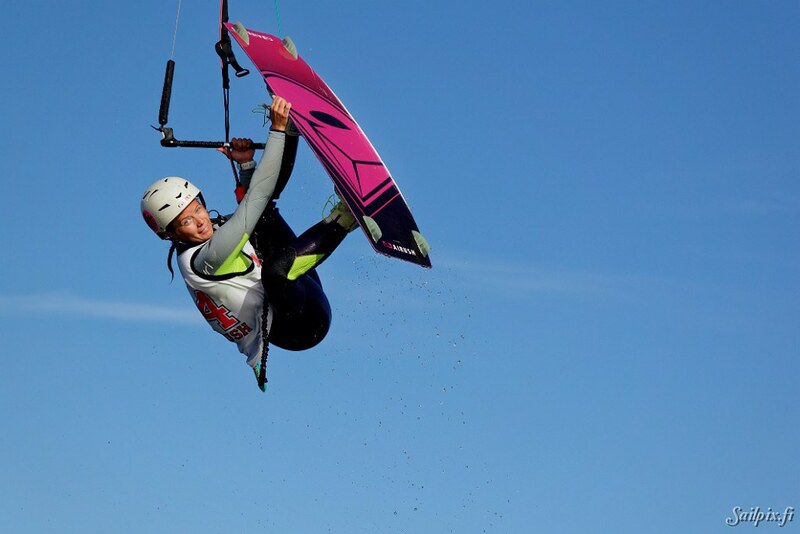 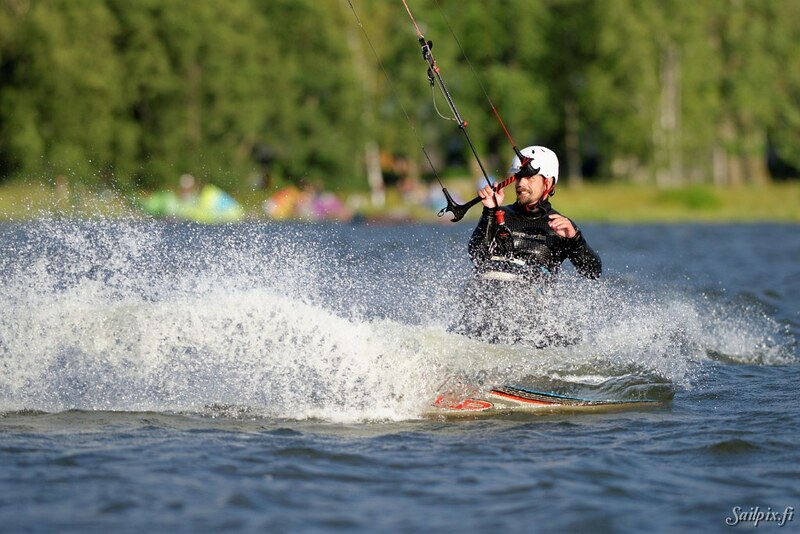 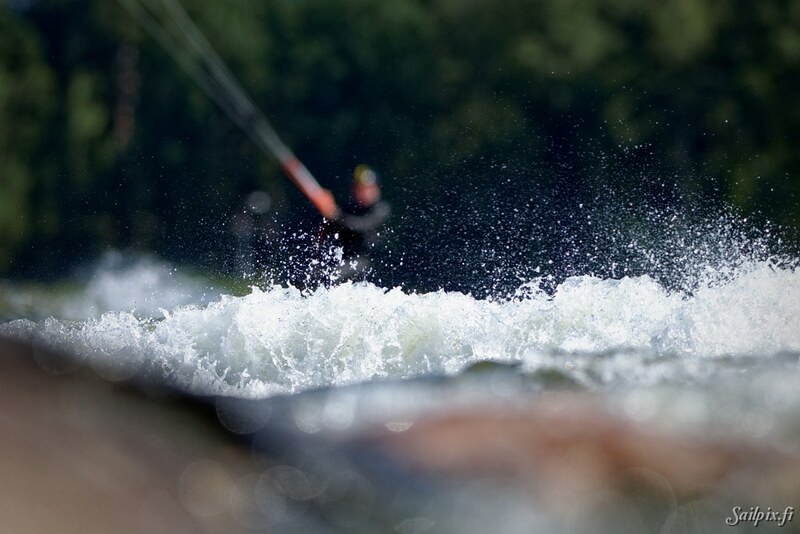 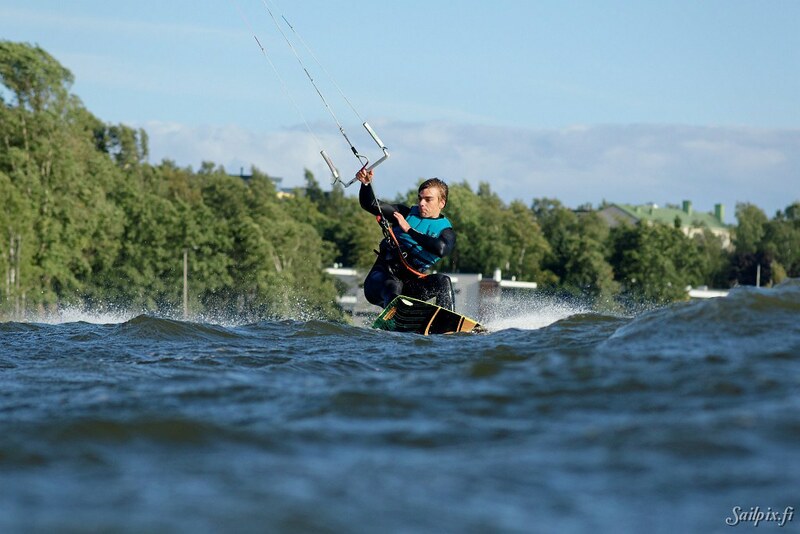 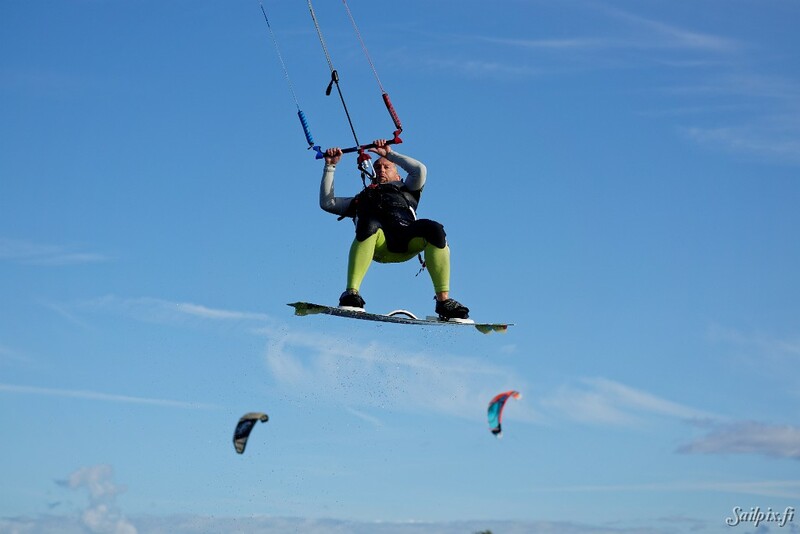 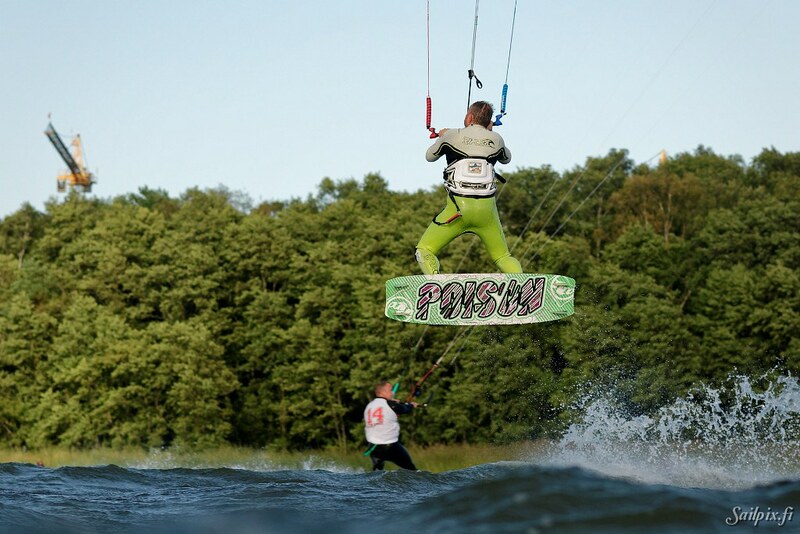 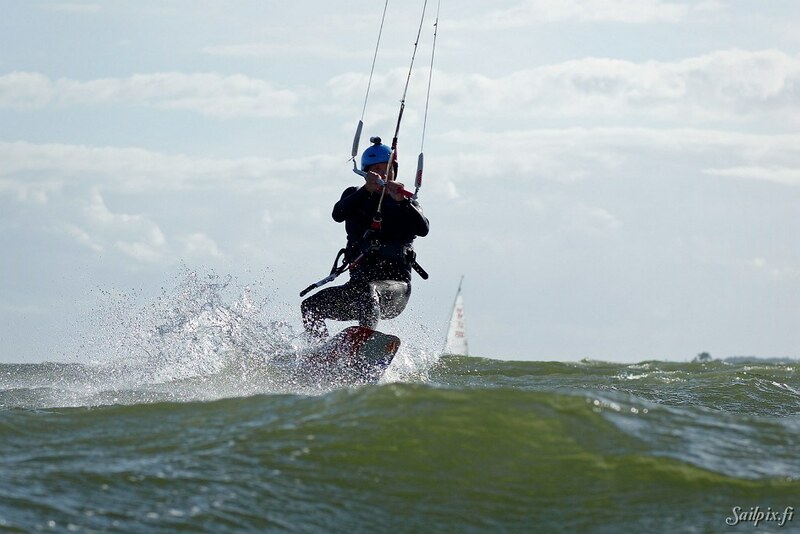 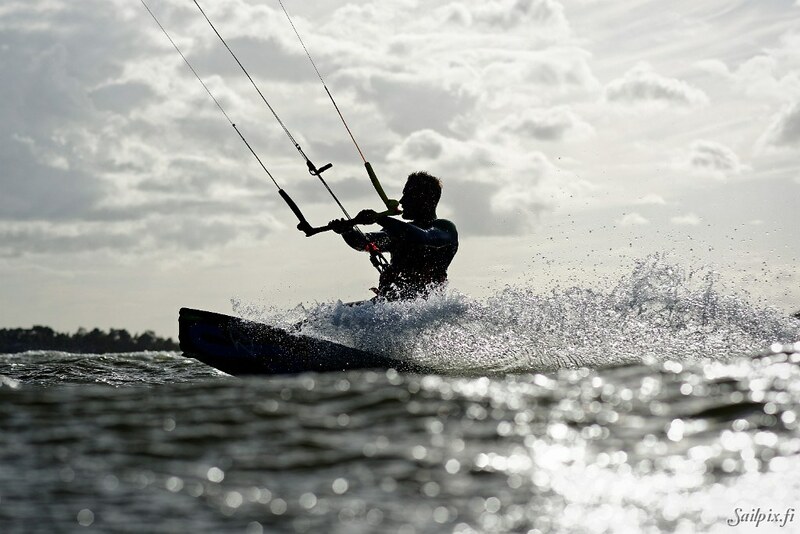 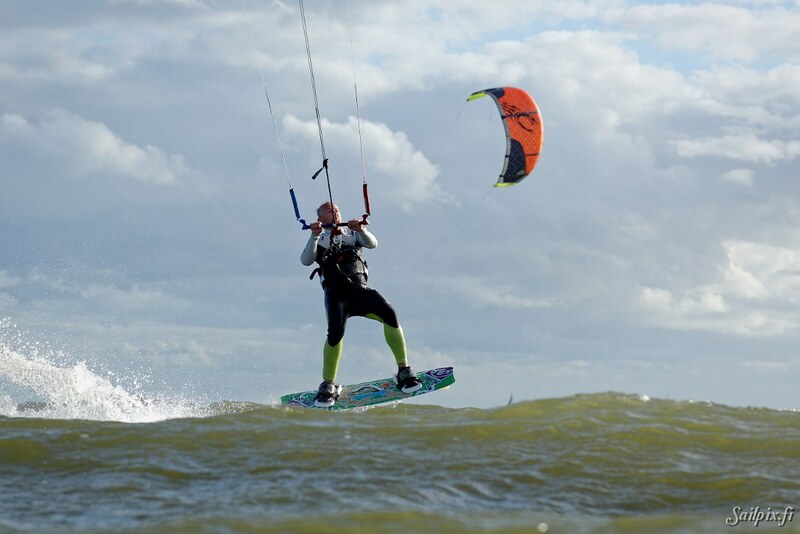 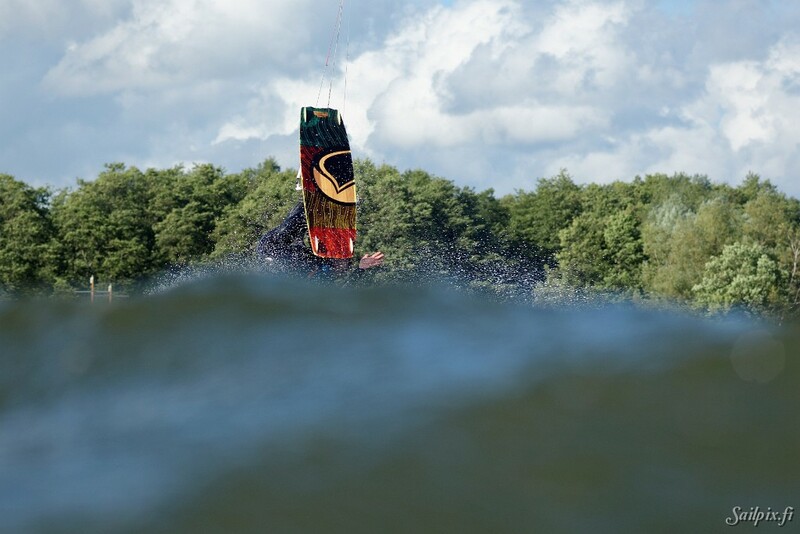 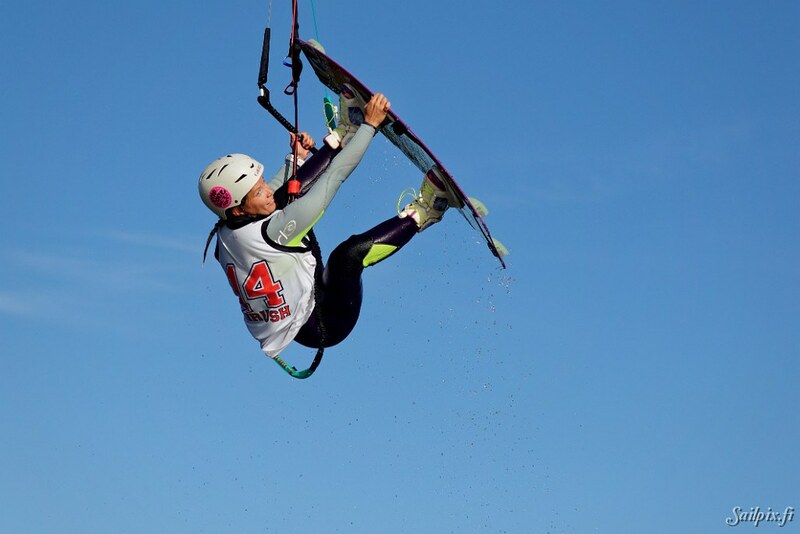 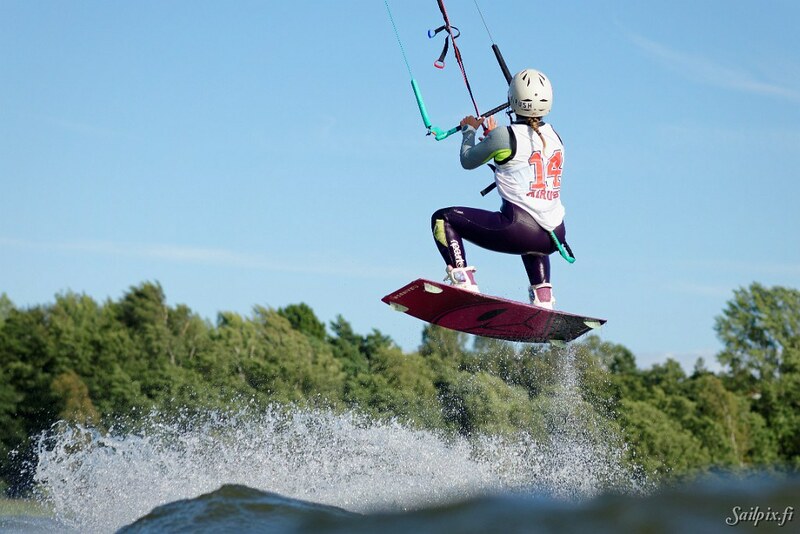 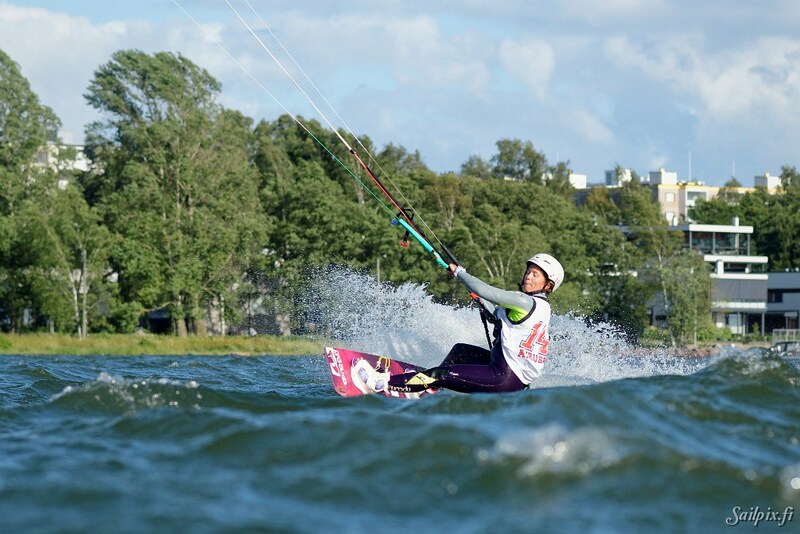 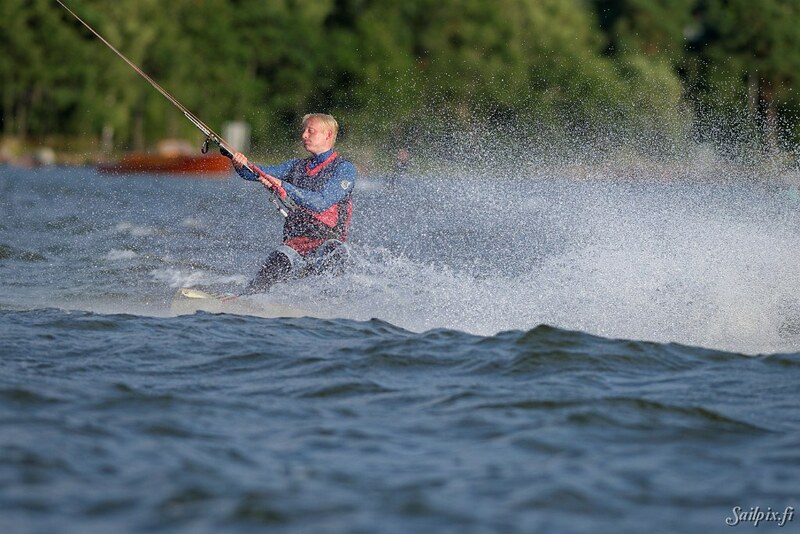 Lauttasaaren leijalautailijat organized an open kiteboarding trick training on the 9th of August 2016. 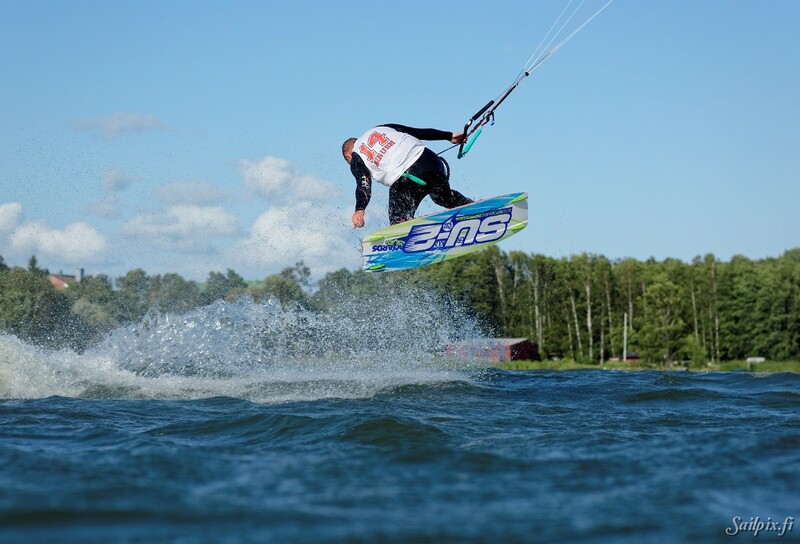 The tricks were registered from the shore and are listed on their webpage. 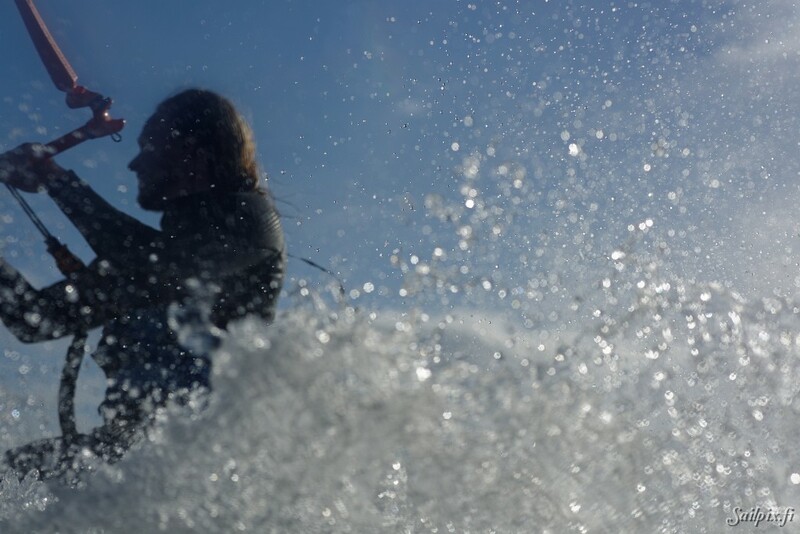 This was a good opportunity for photographing in the water with drysuit, diving flippers, floating vest on and the camera in a watertight bag. 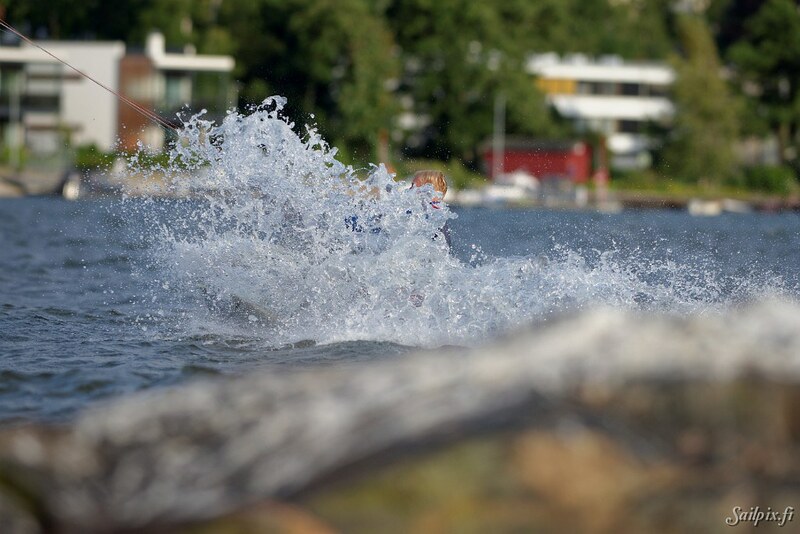 First photos in the slideshow are taken from the shore, but after about one third the photos are taken swimming or floating in the water.